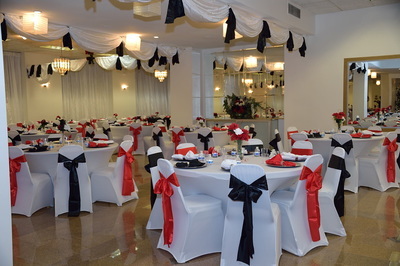 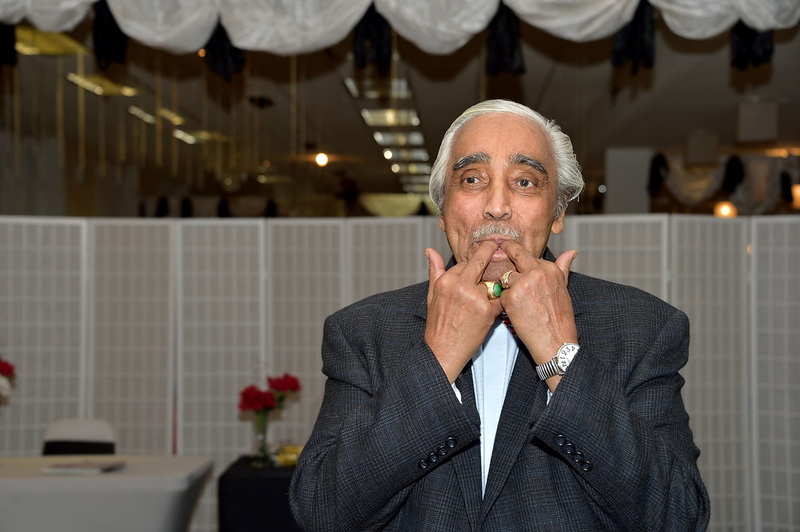 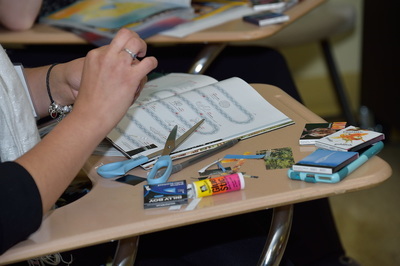 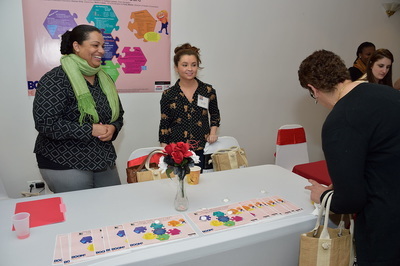 See below for a full gallery of photos! 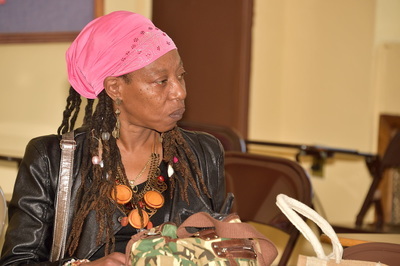 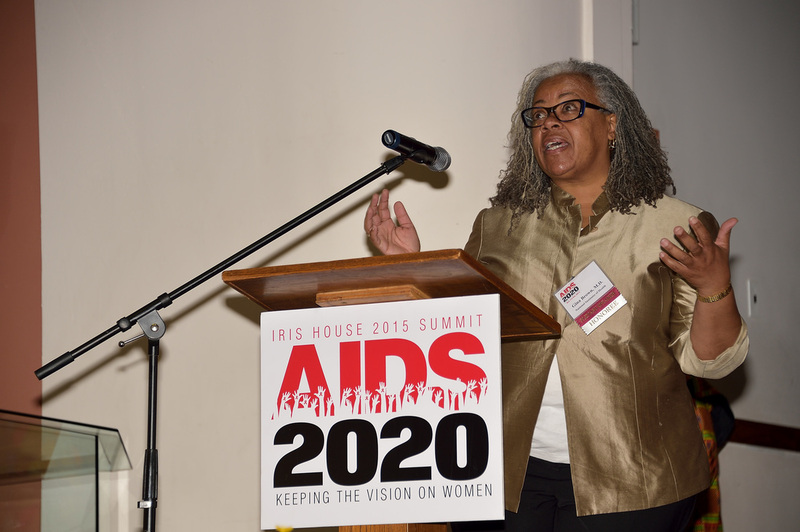 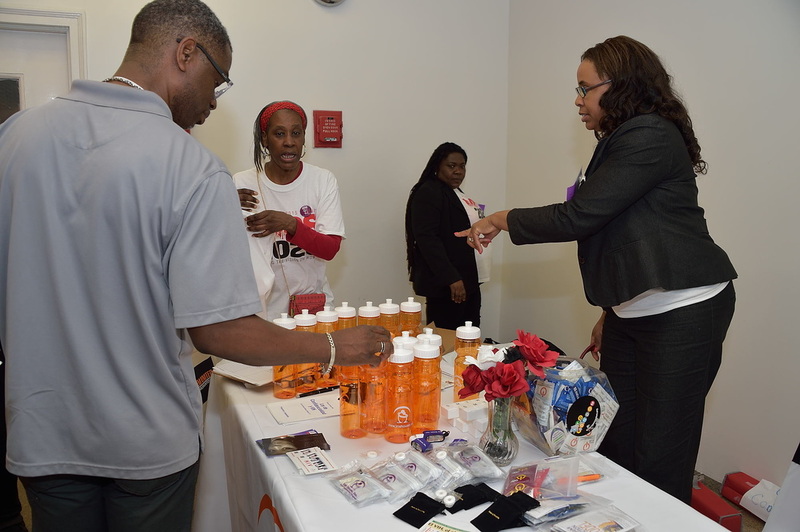 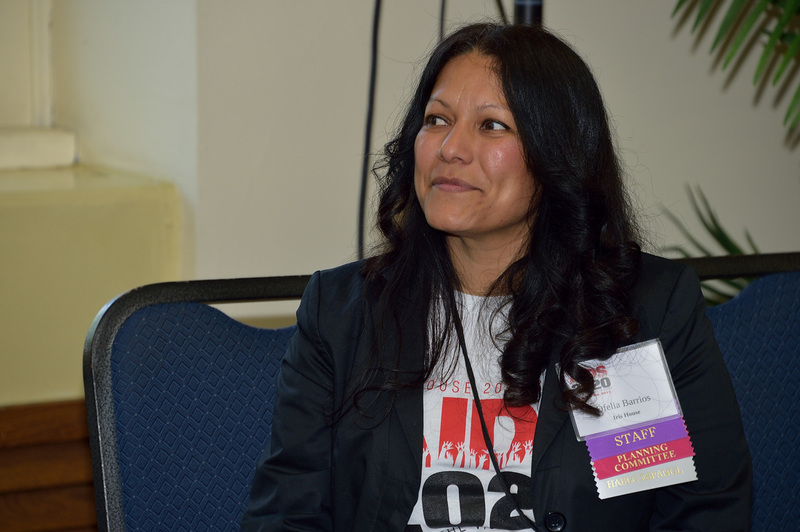 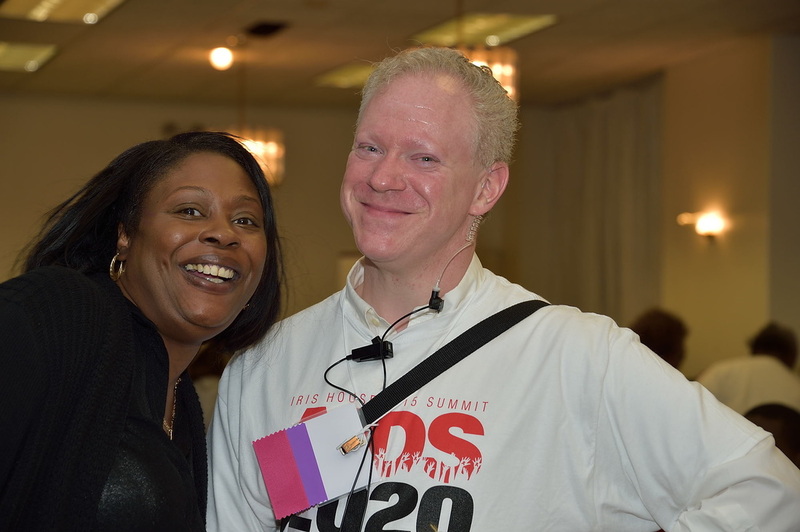 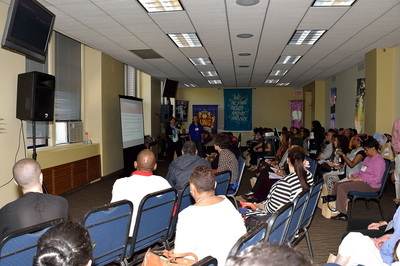 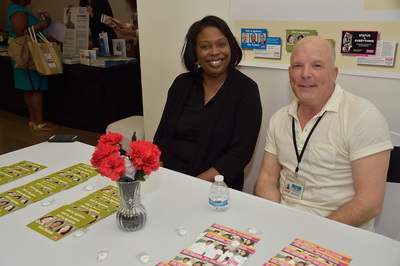 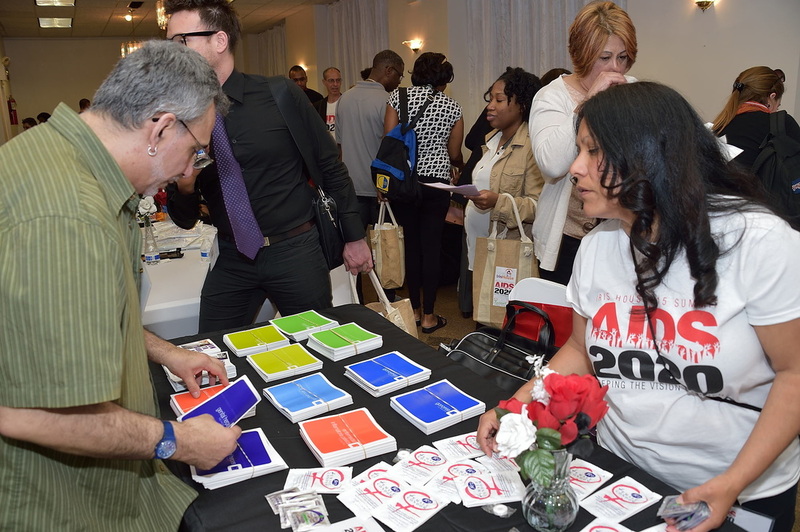 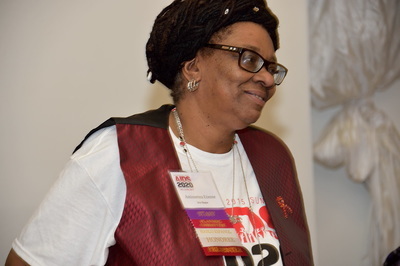 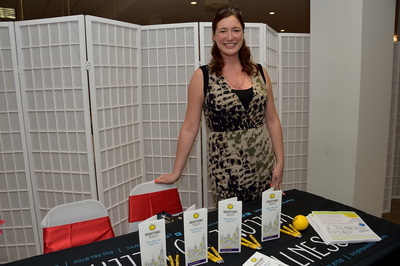 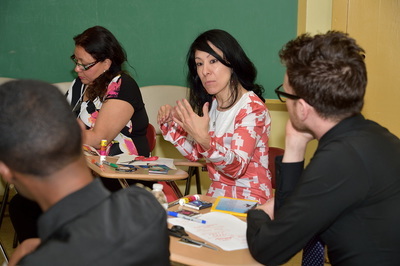 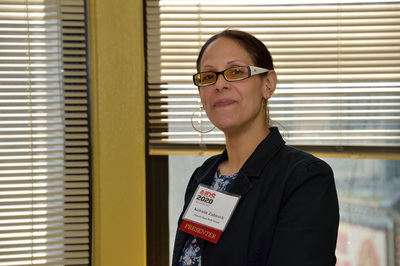 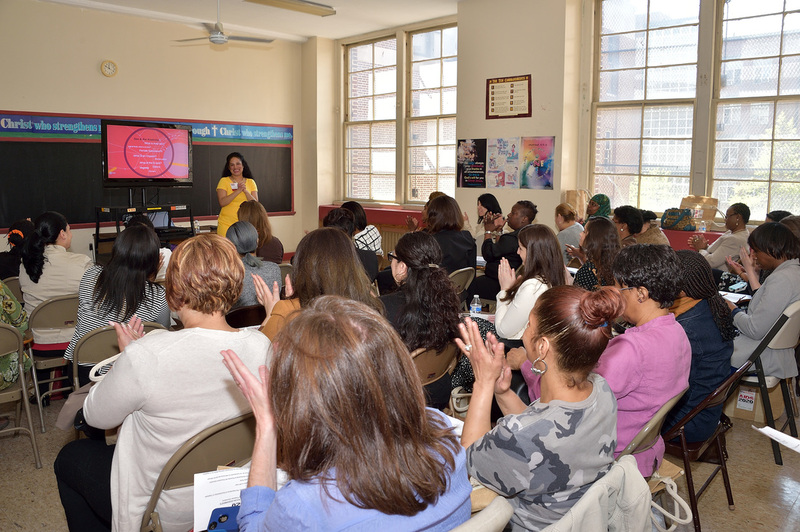 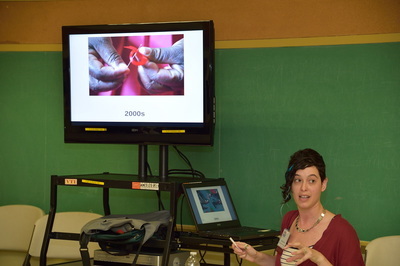 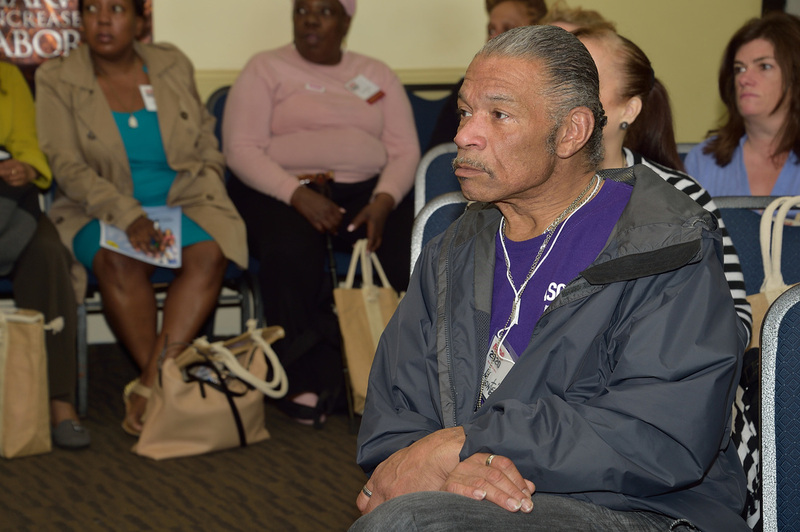 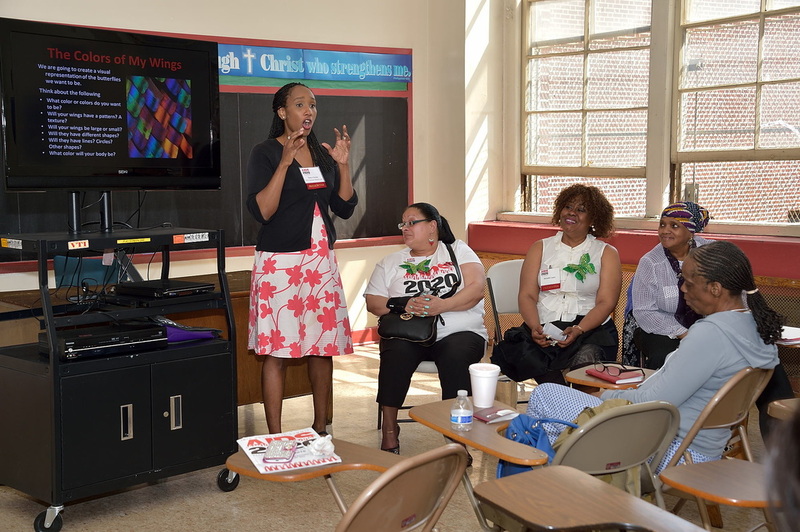 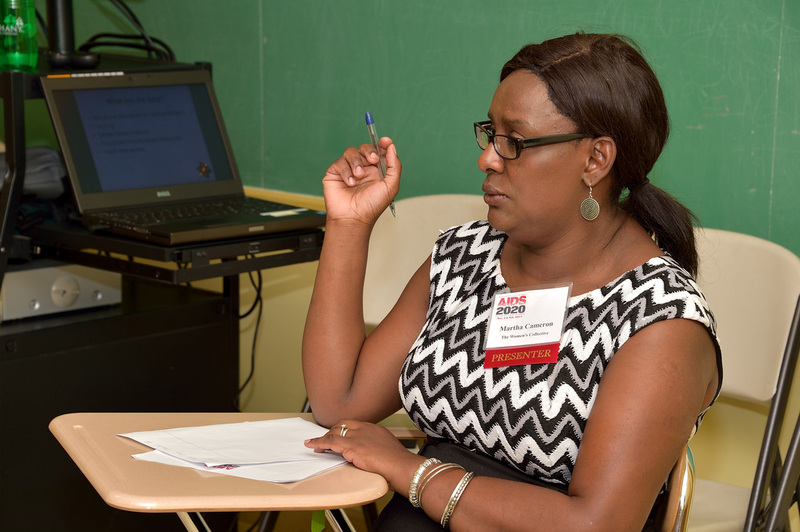 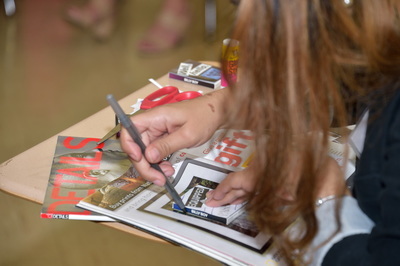 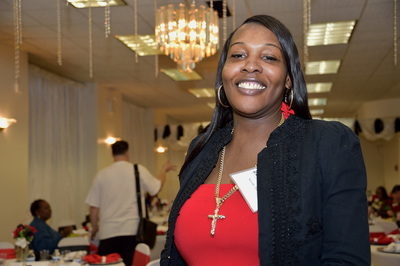 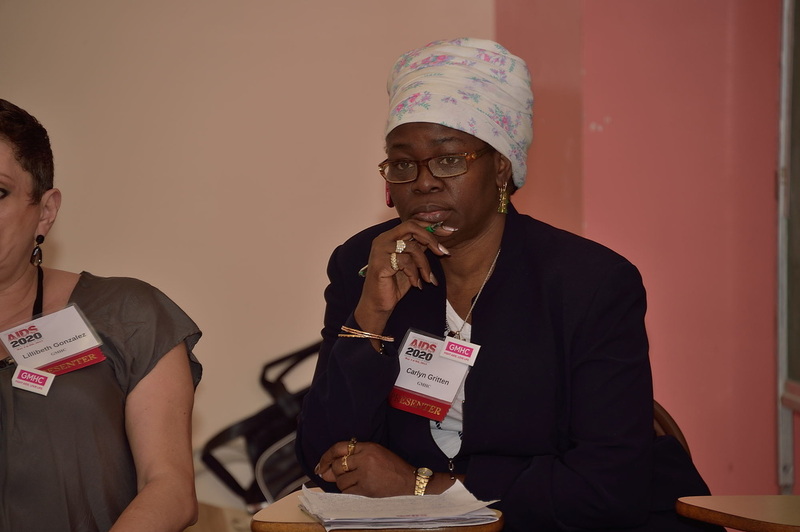 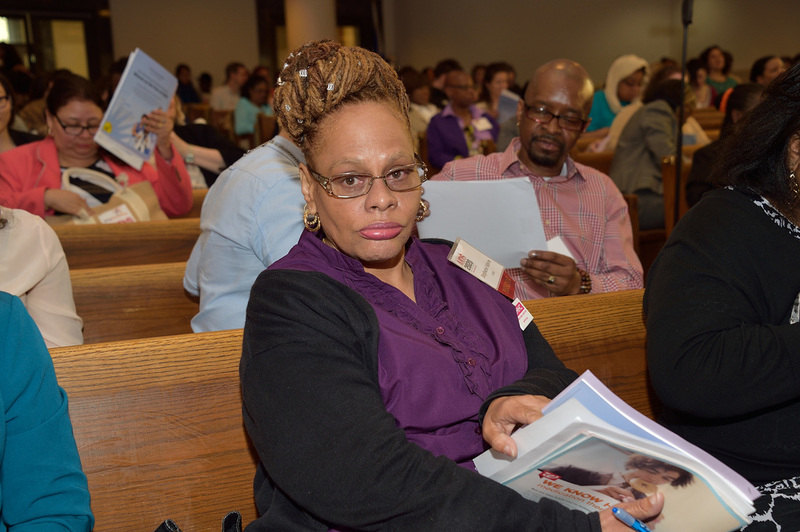 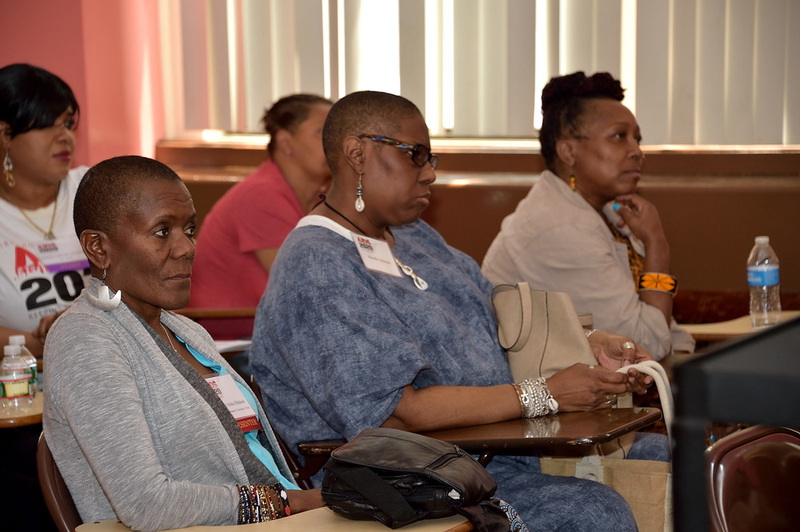 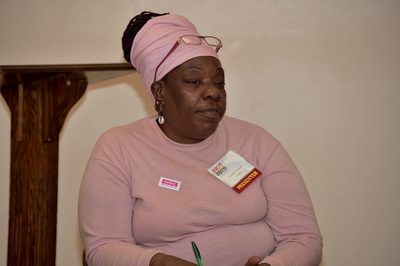 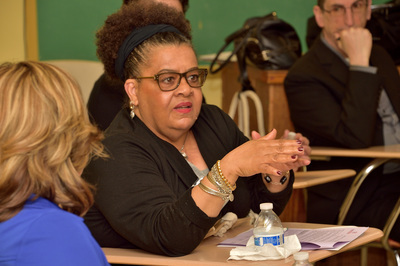 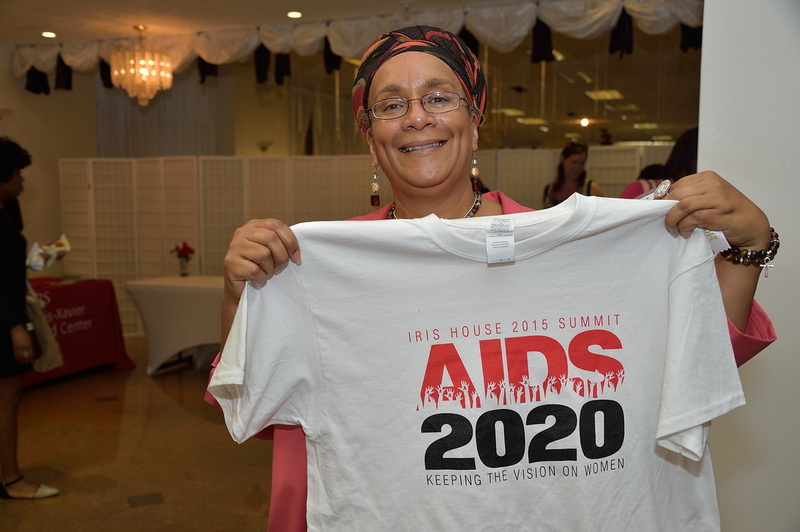 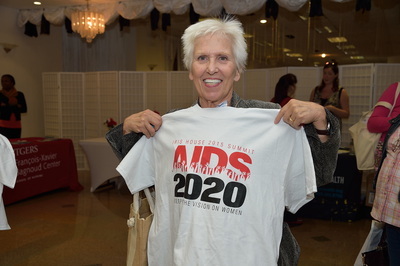 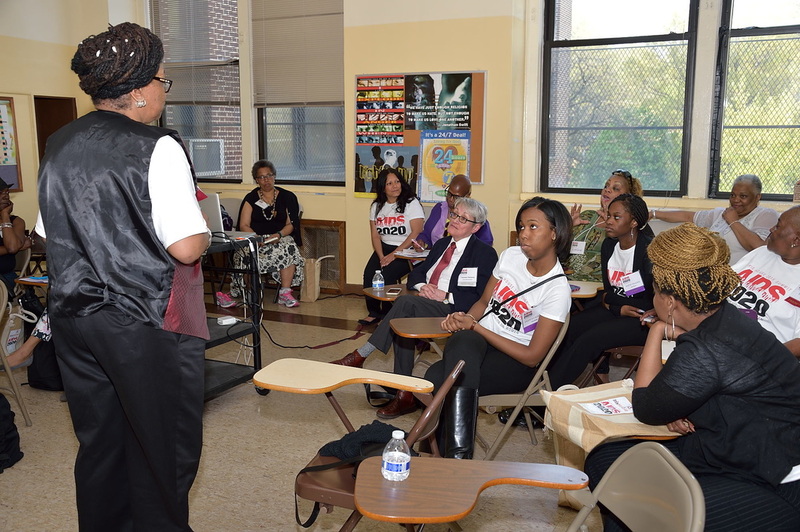 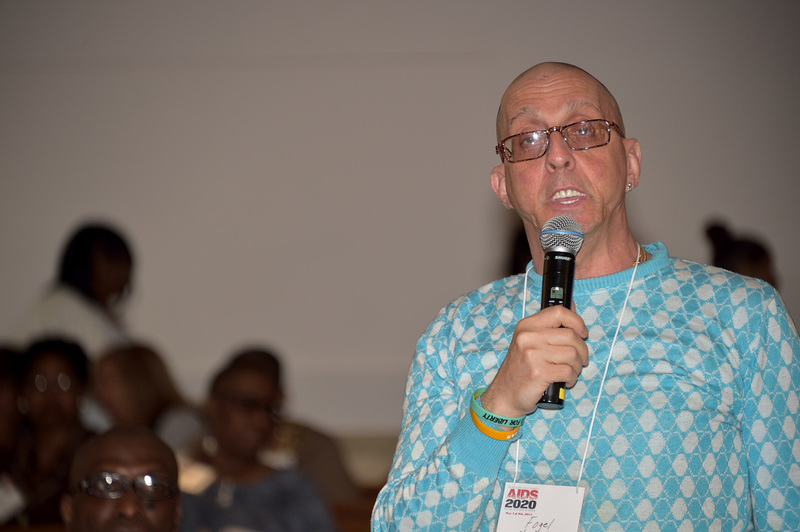 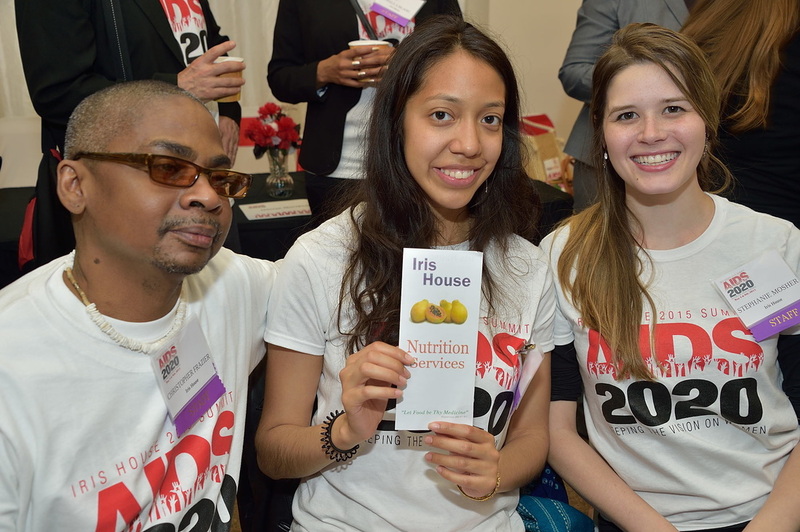 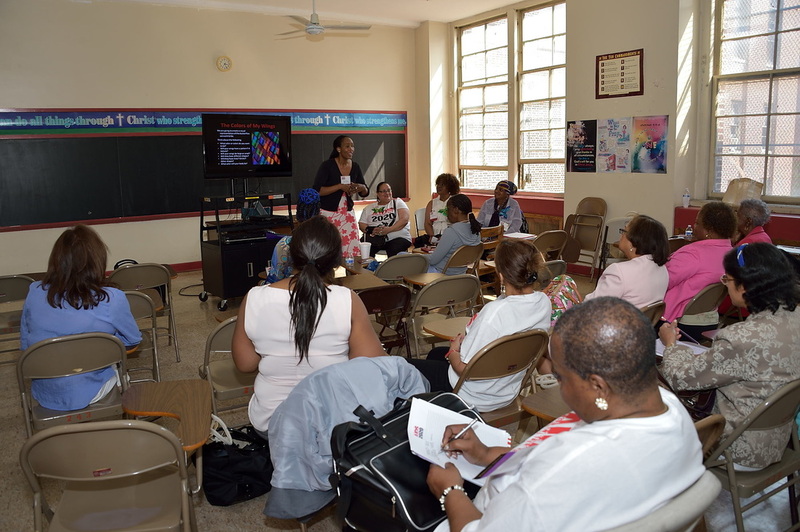 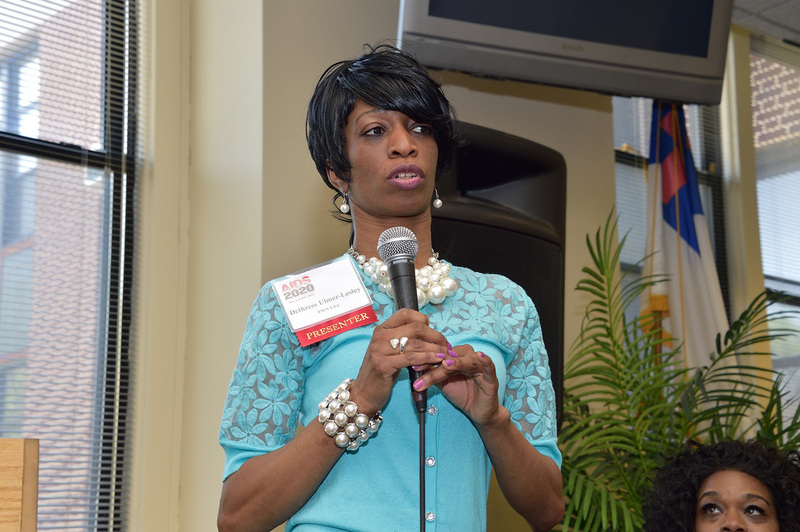 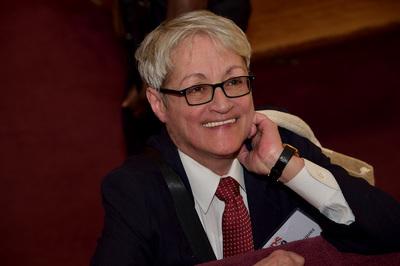 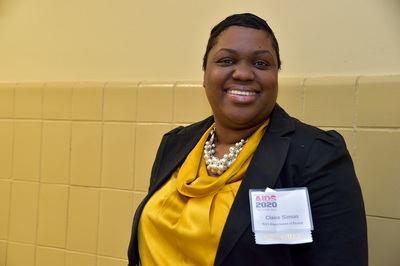 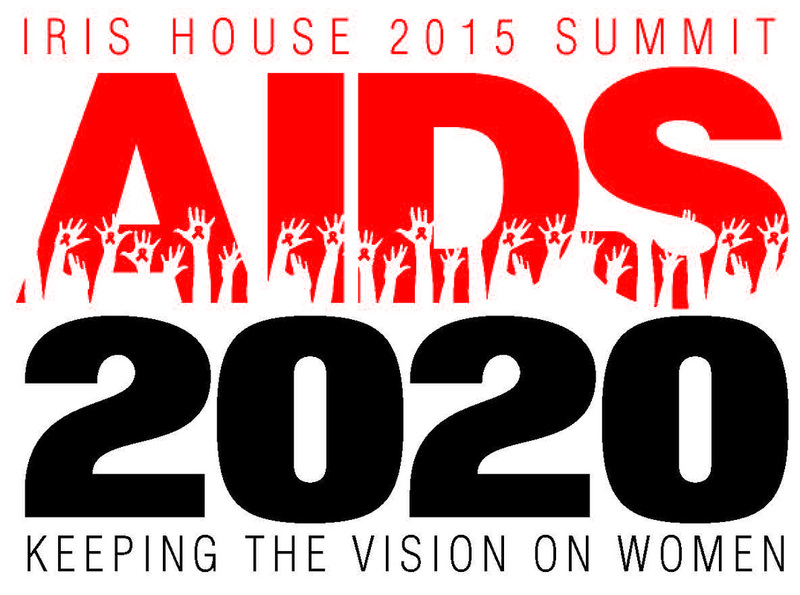 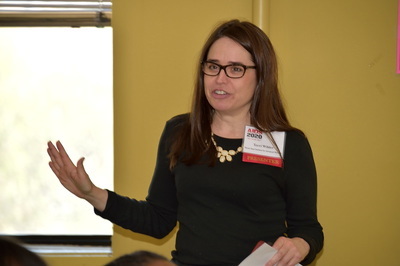 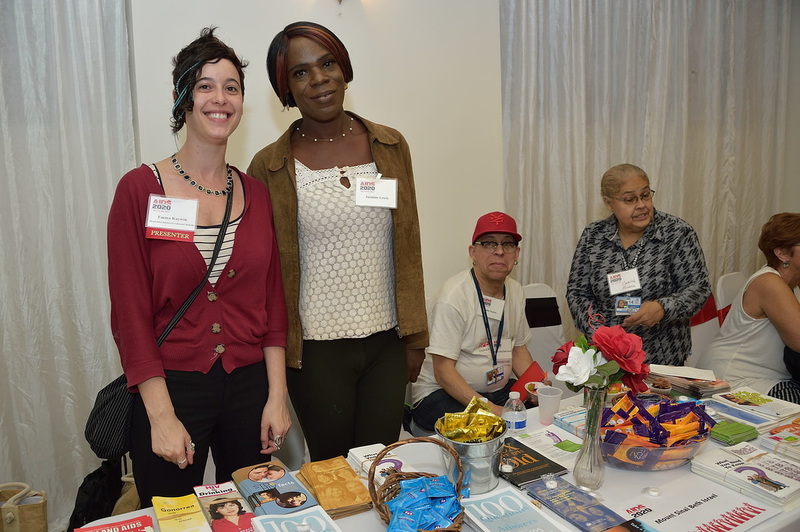 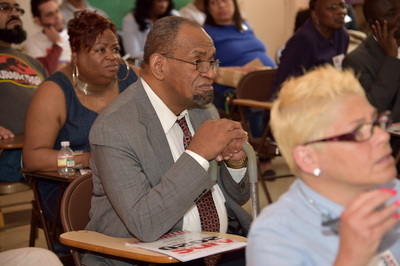 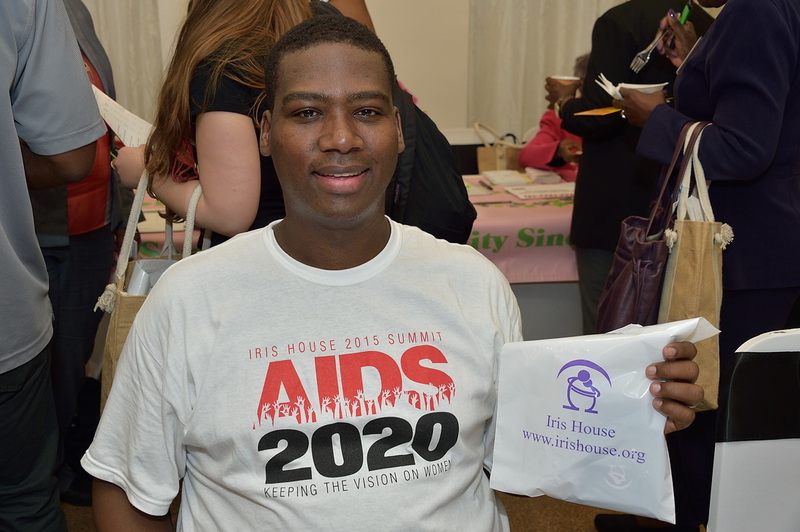 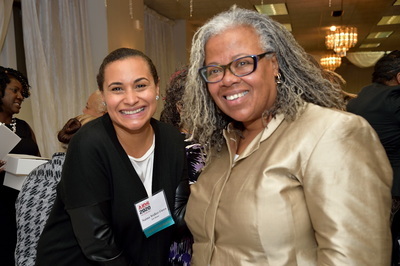 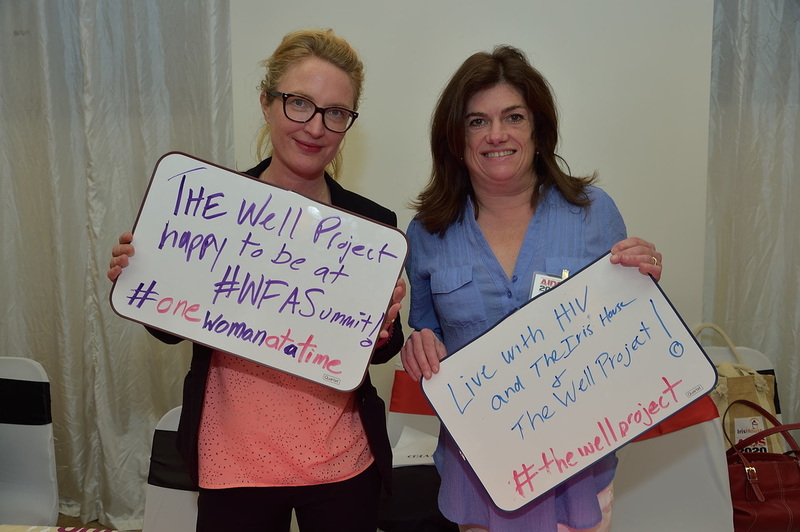 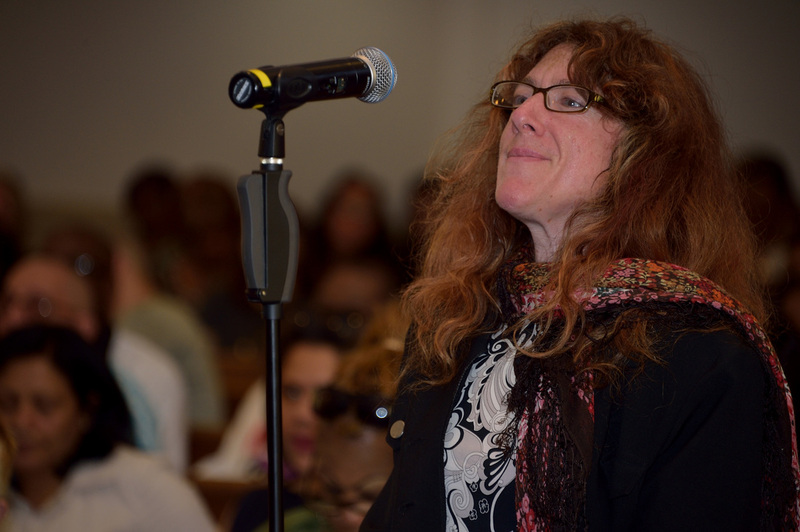 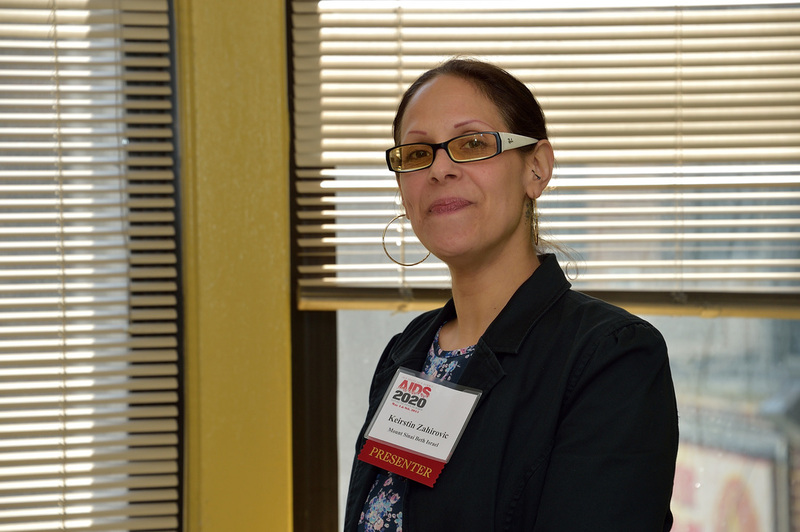 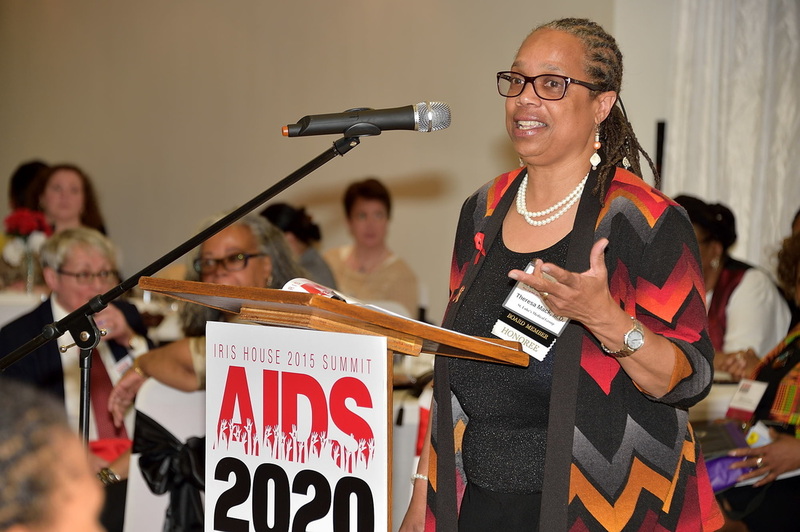 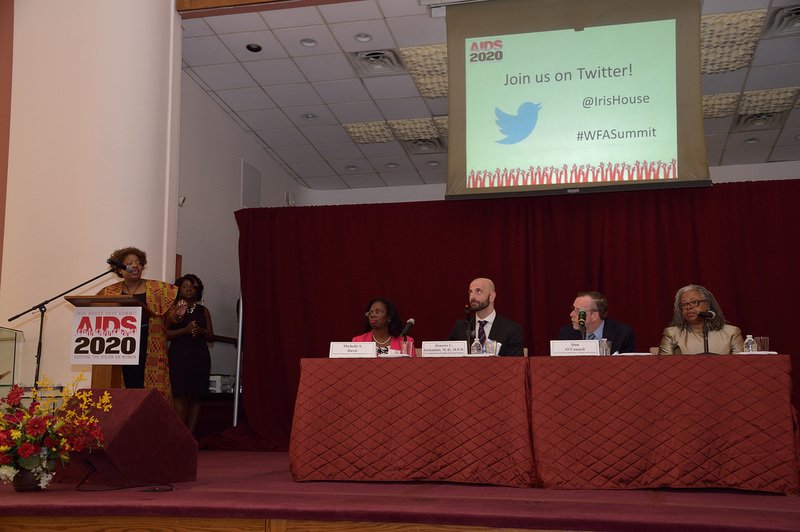 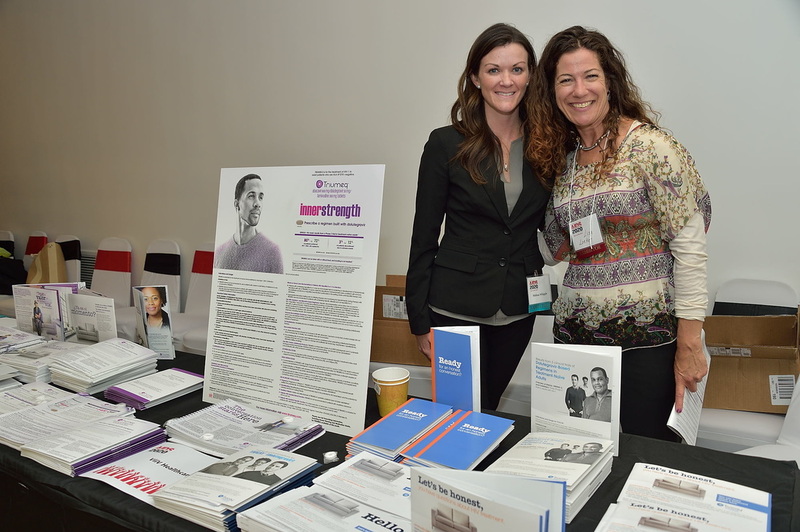 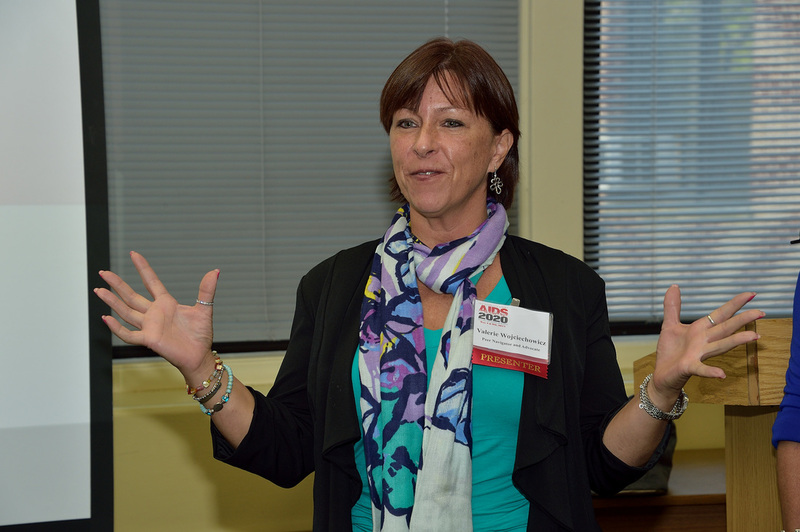 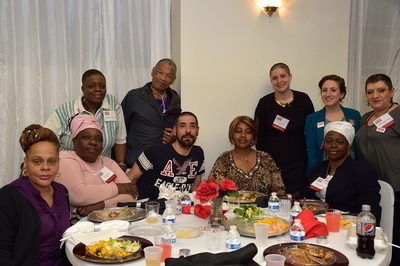 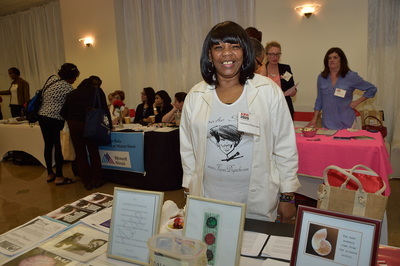 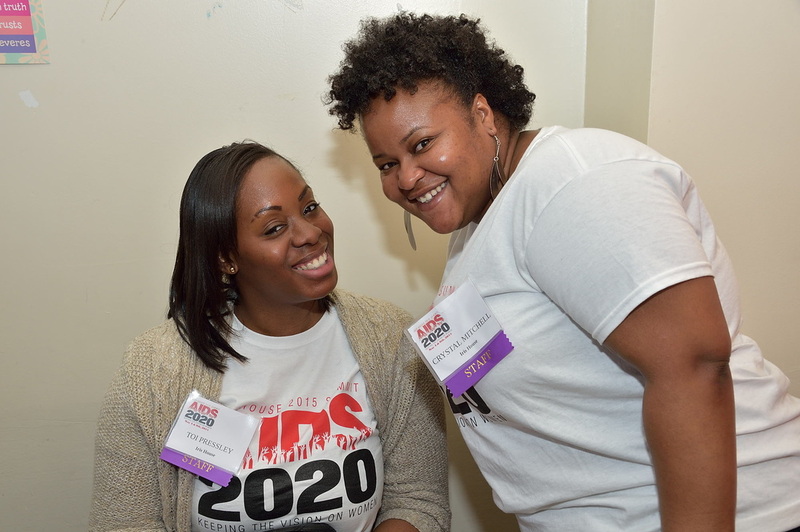 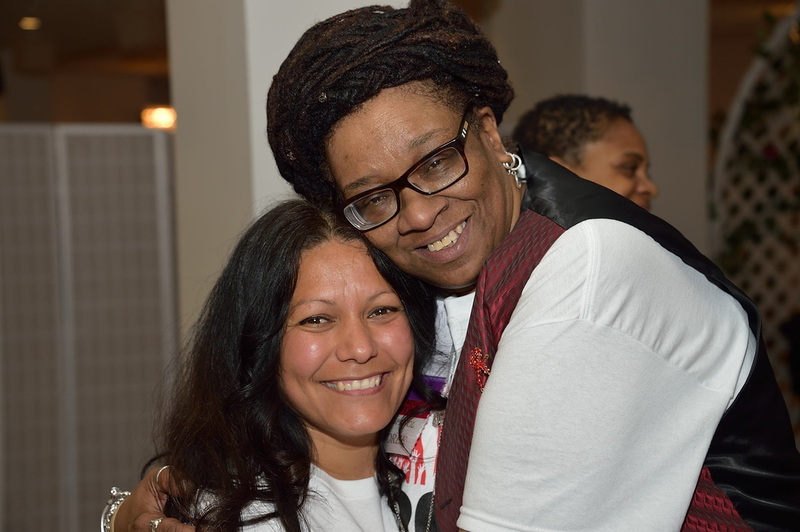 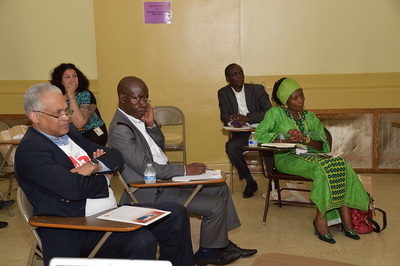 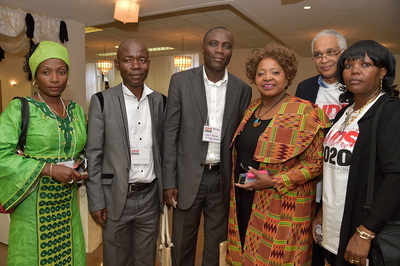 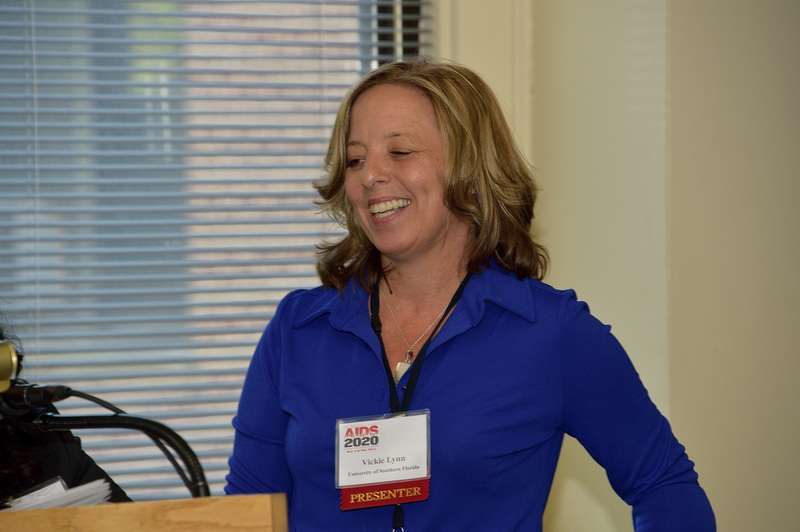 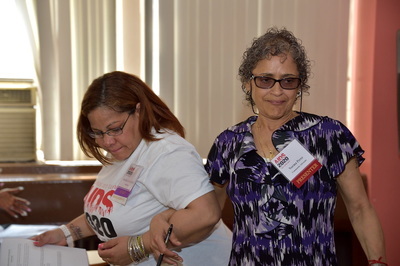 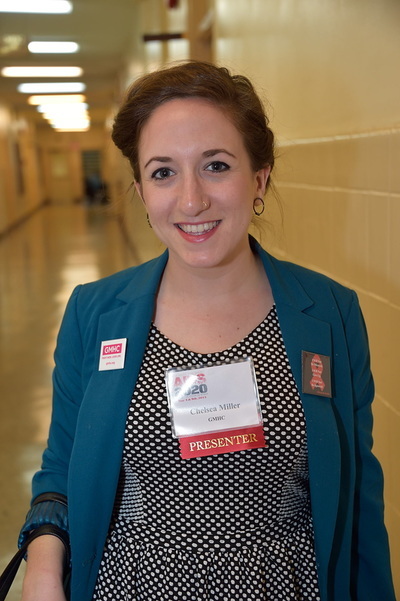 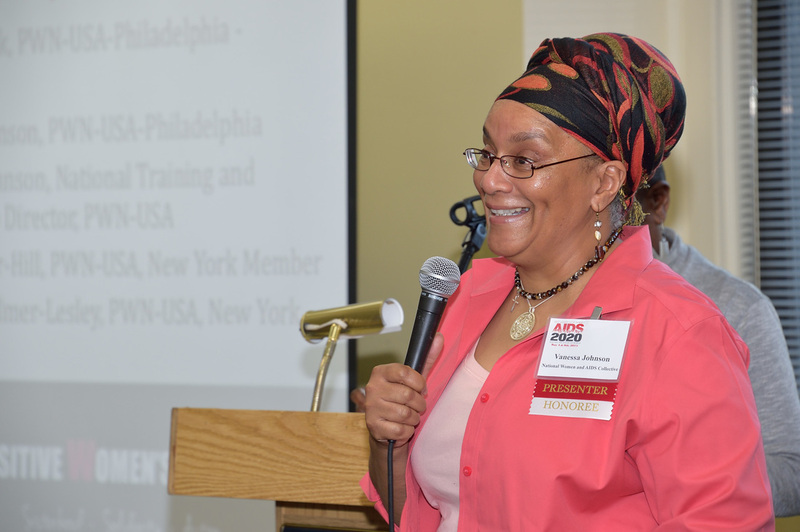 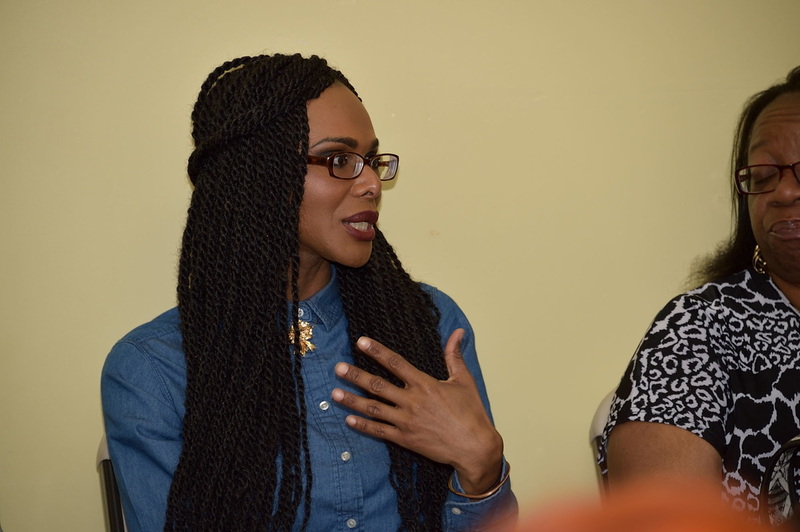 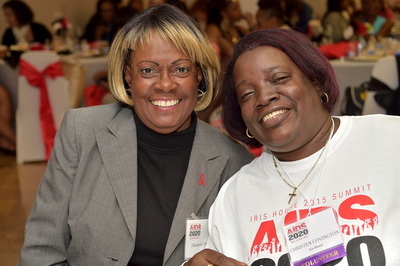 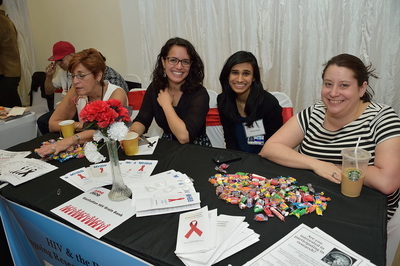 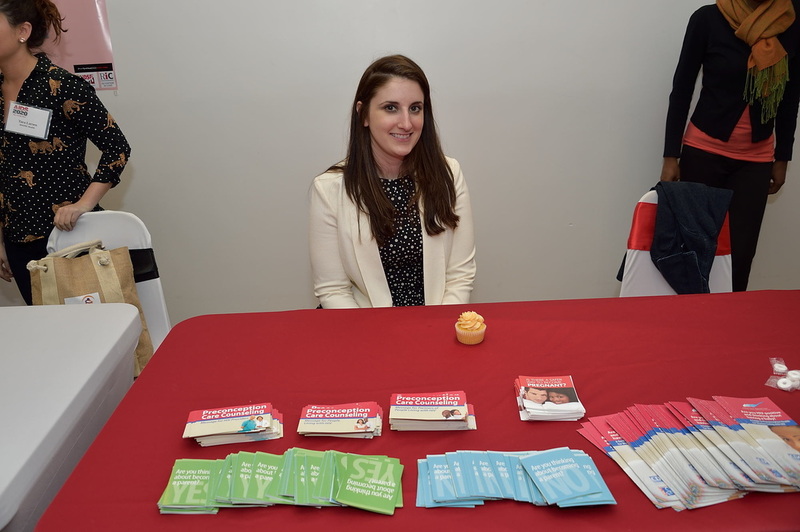 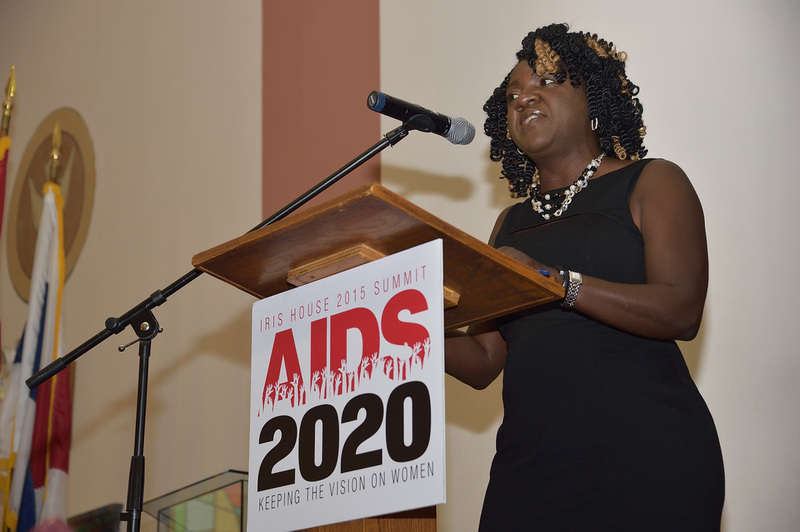 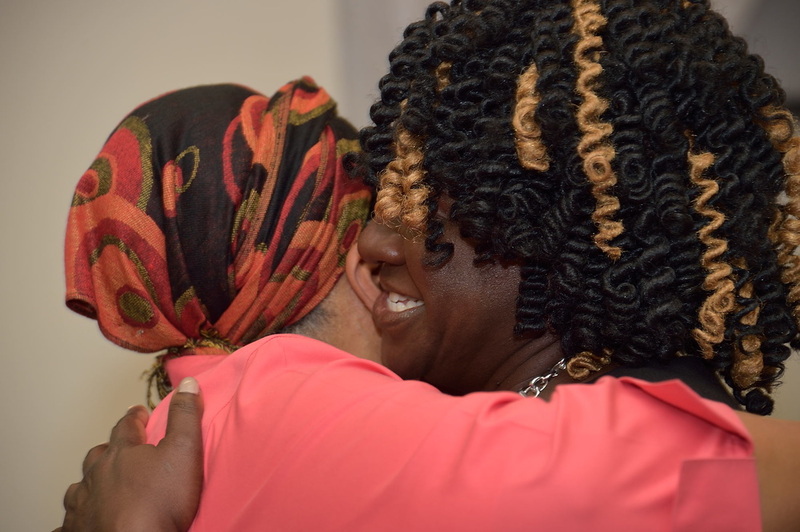 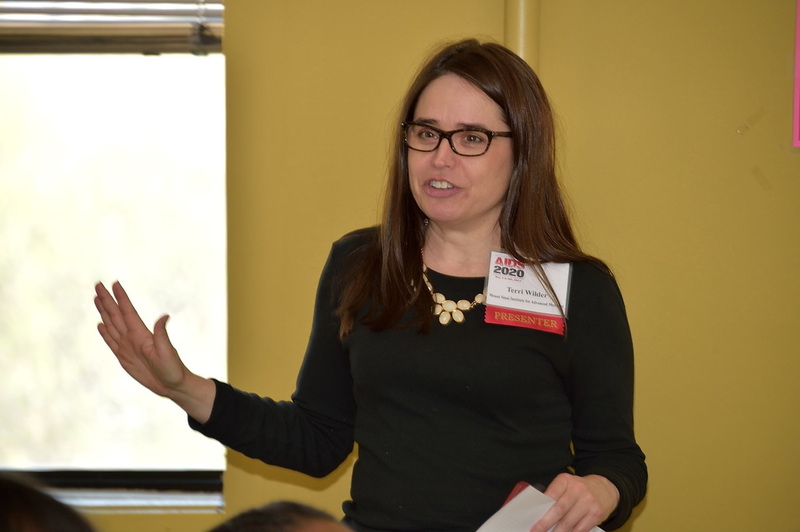 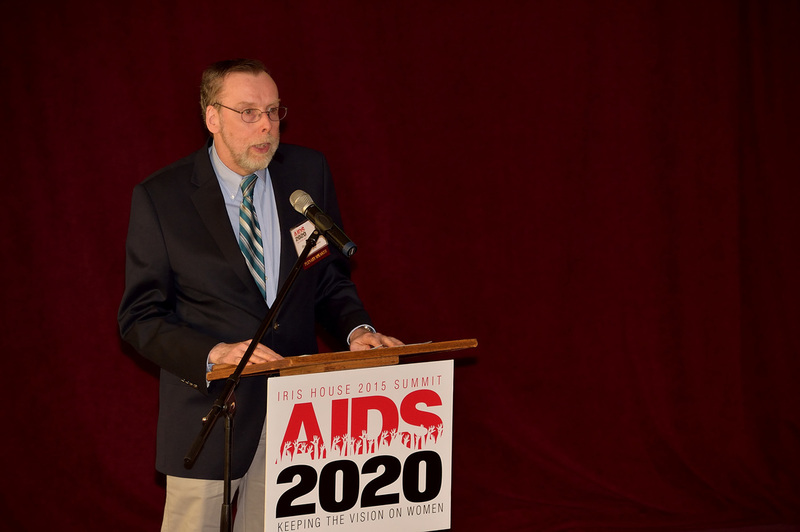 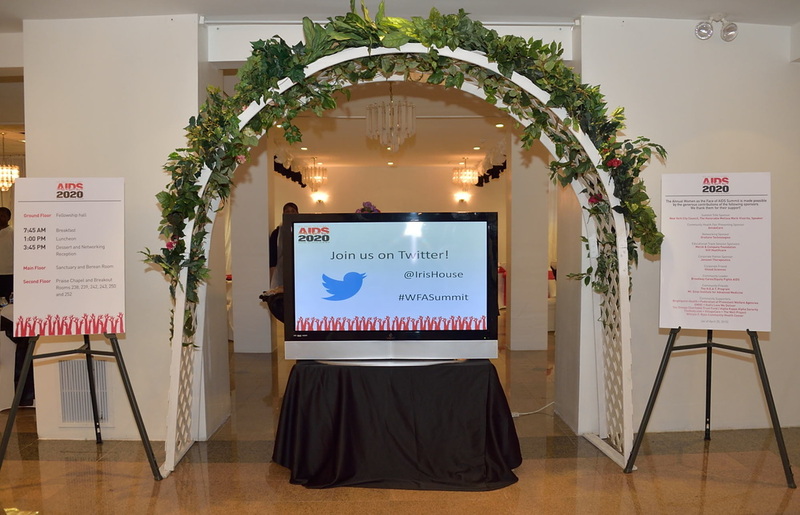 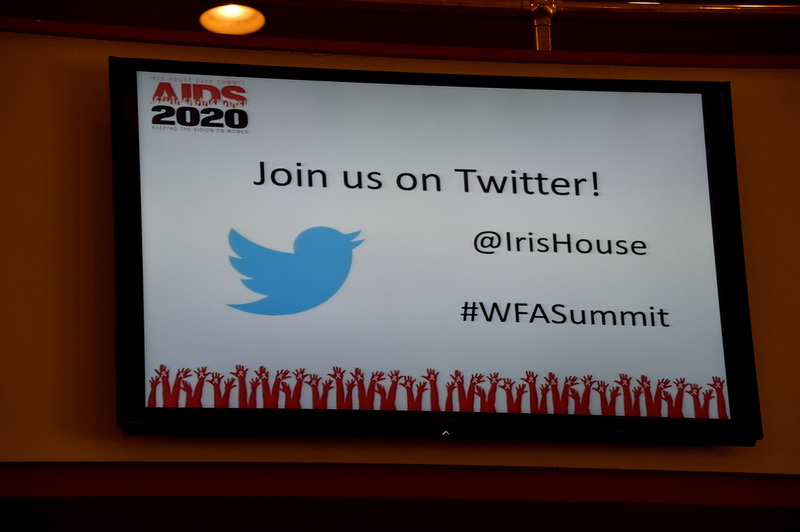 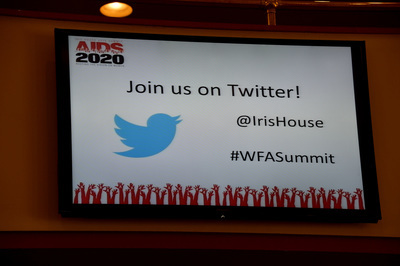 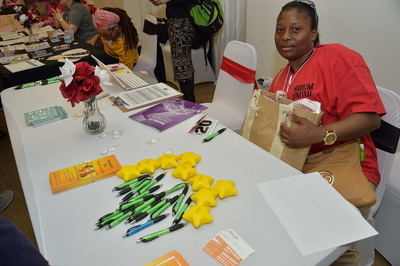 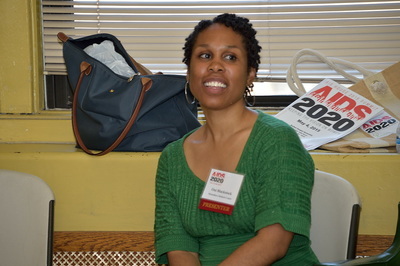 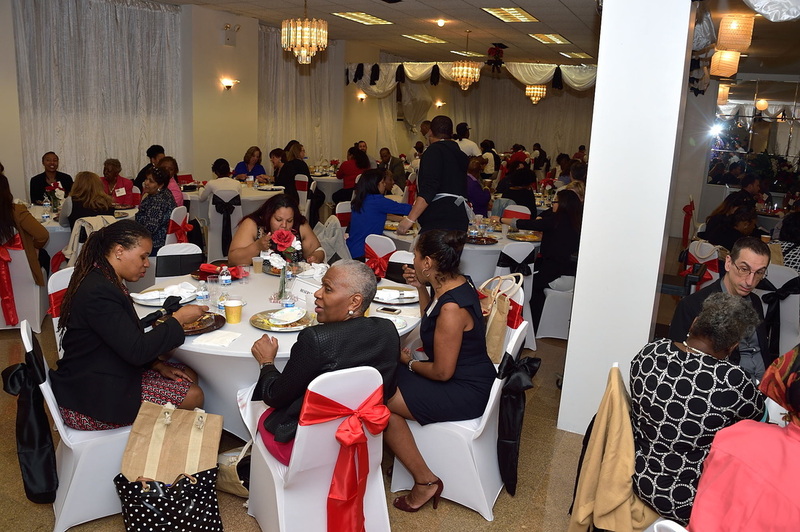 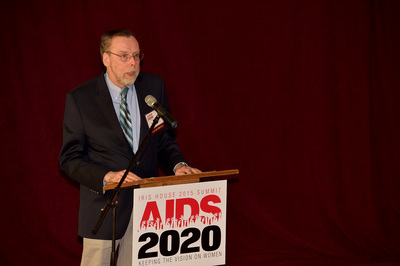 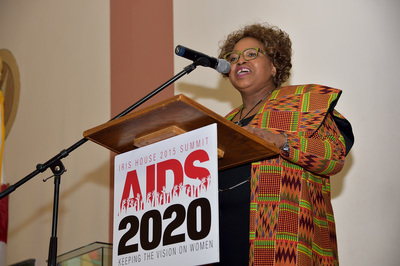 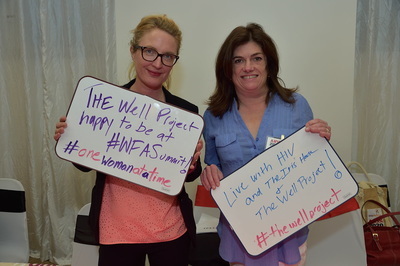 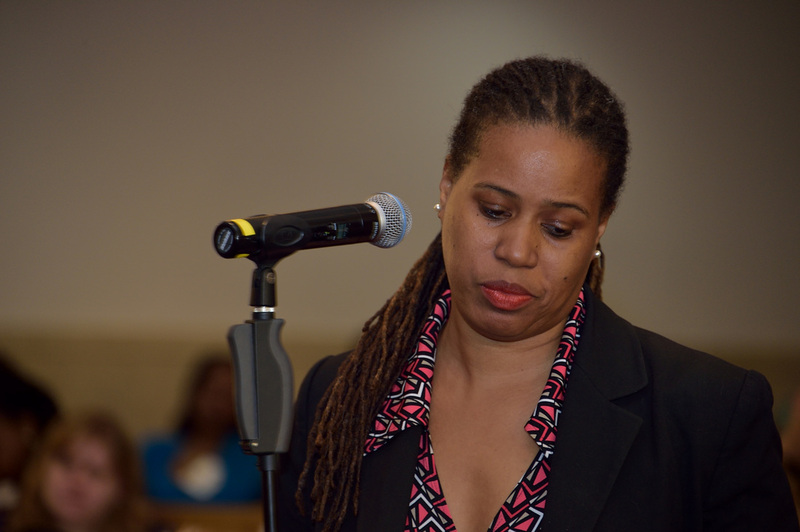 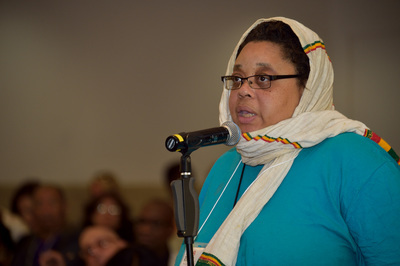 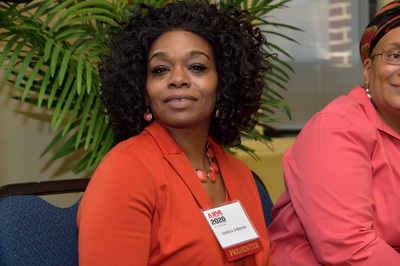 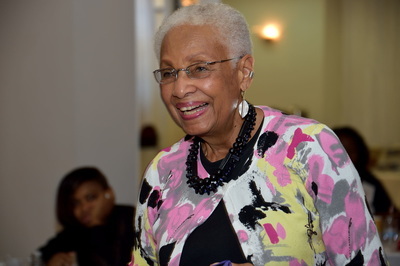 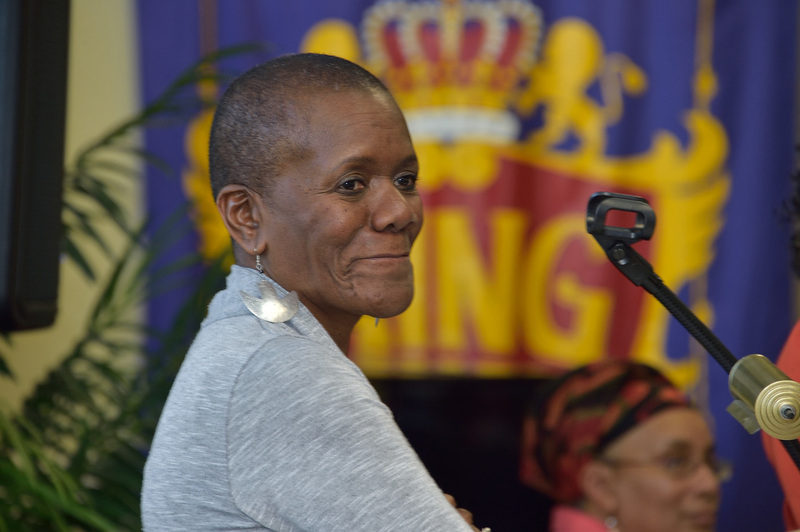 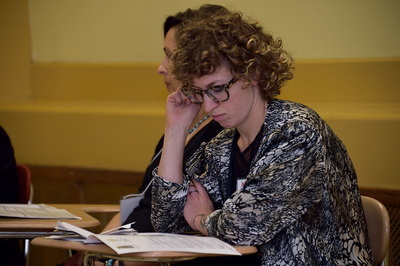 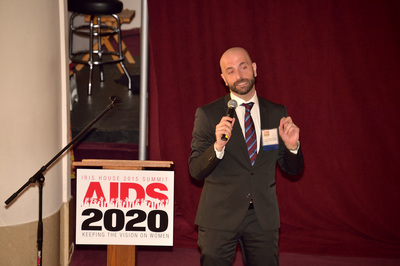 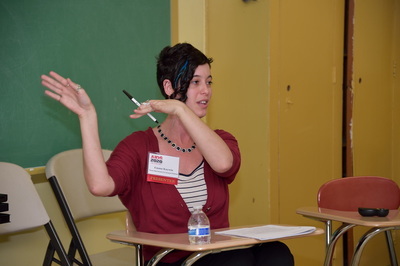 On Monday, May 4th, Iris House held its Tenth Annual Women as the Face of AIDS Summit, a full day of panels, presentations and workshops to educate and inspire attendees about current trends, challenges and successful programs in waging the war on AIDS. 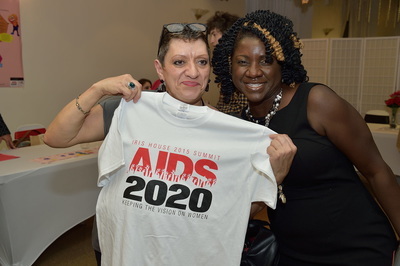 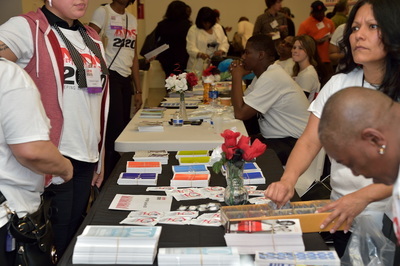 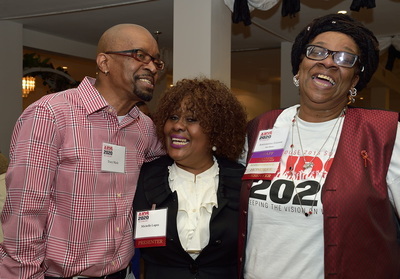 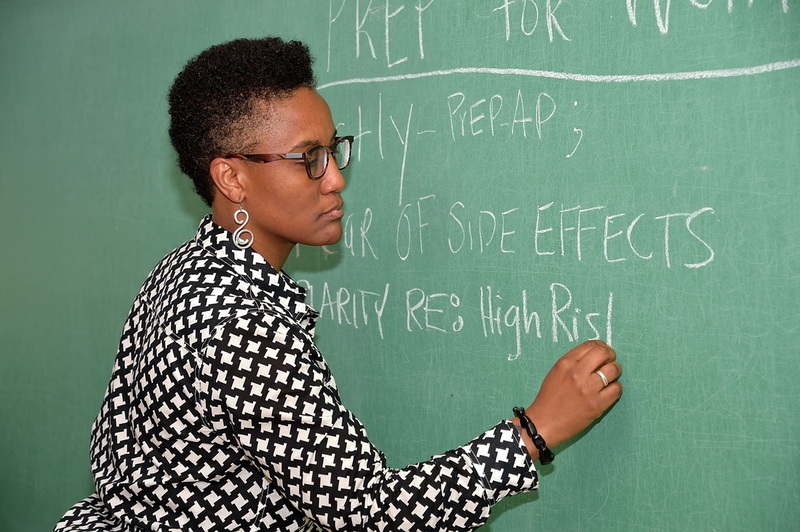 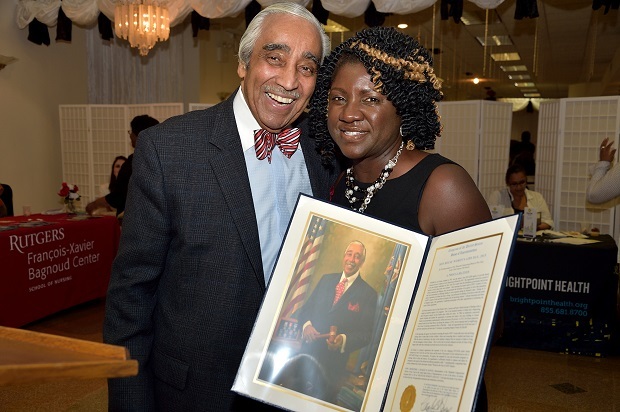 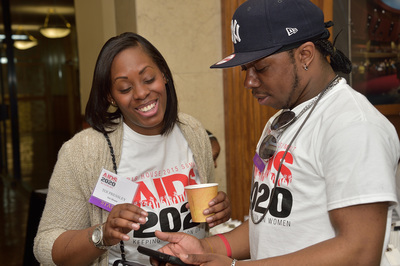 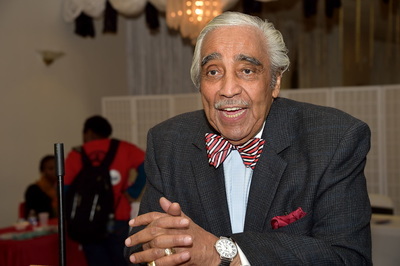 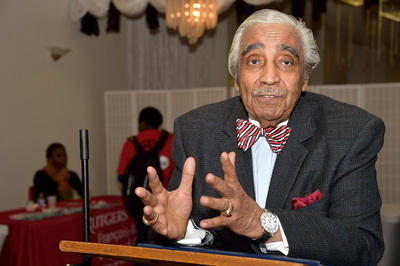 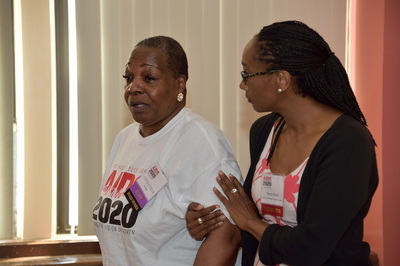 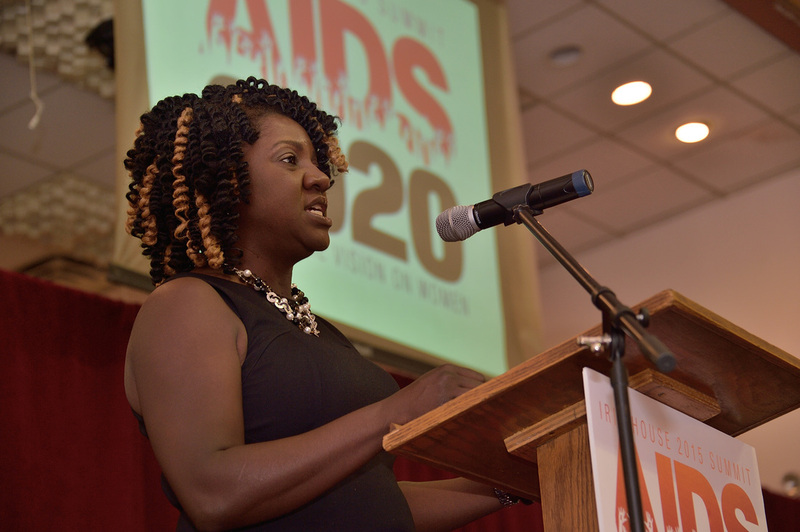 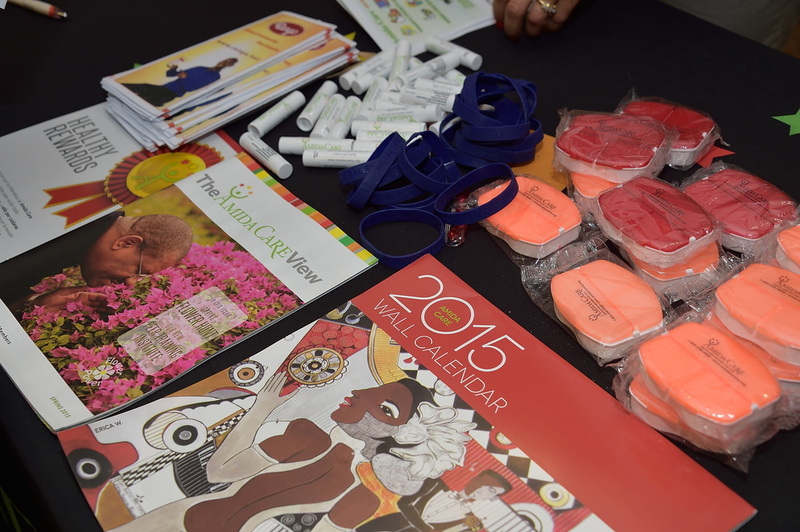 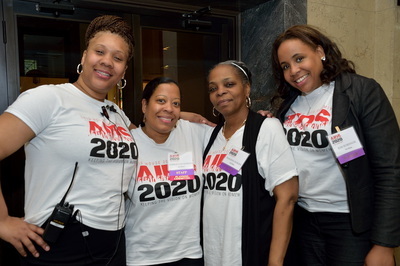 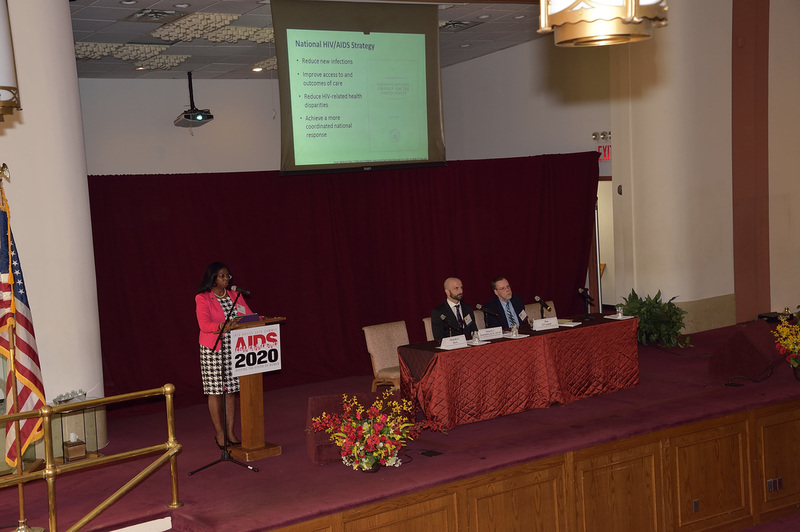 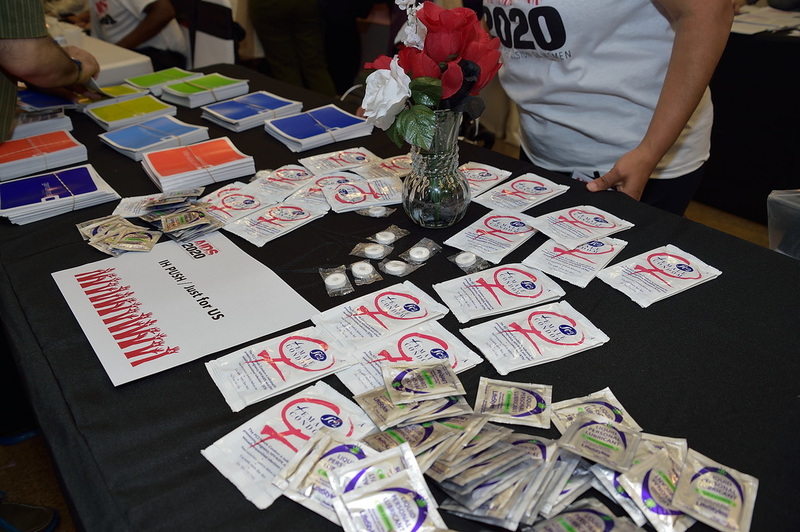 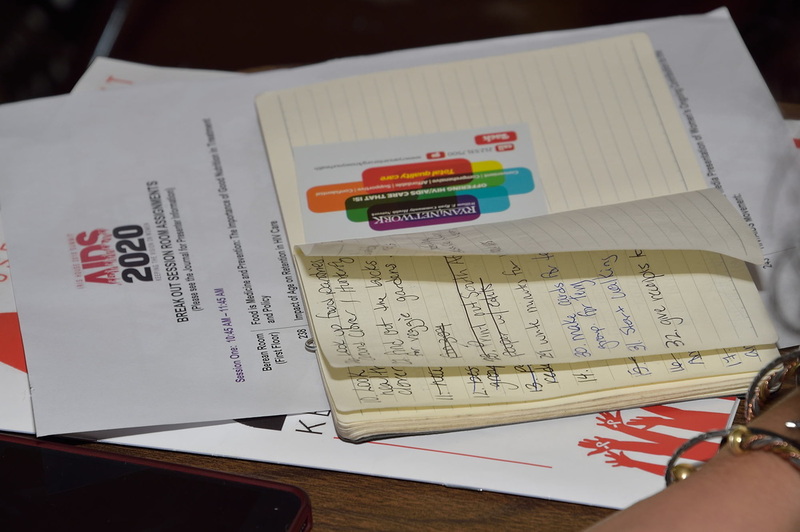 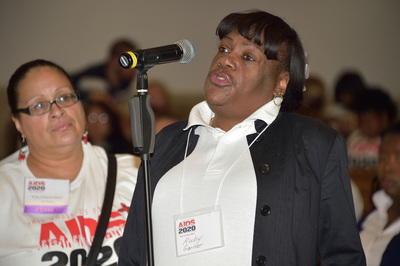 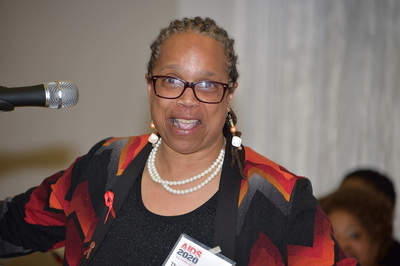 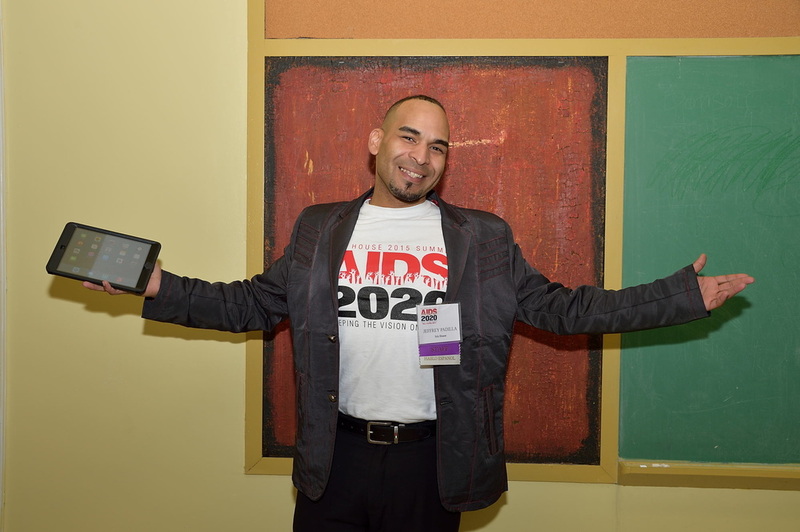 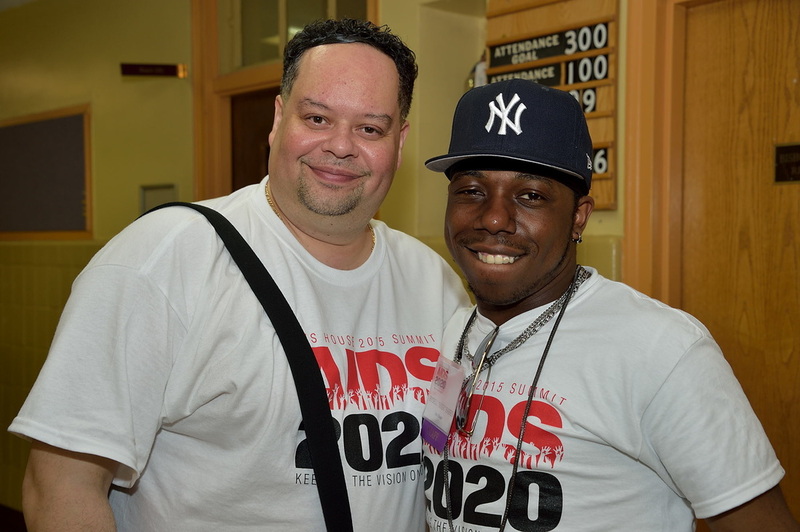 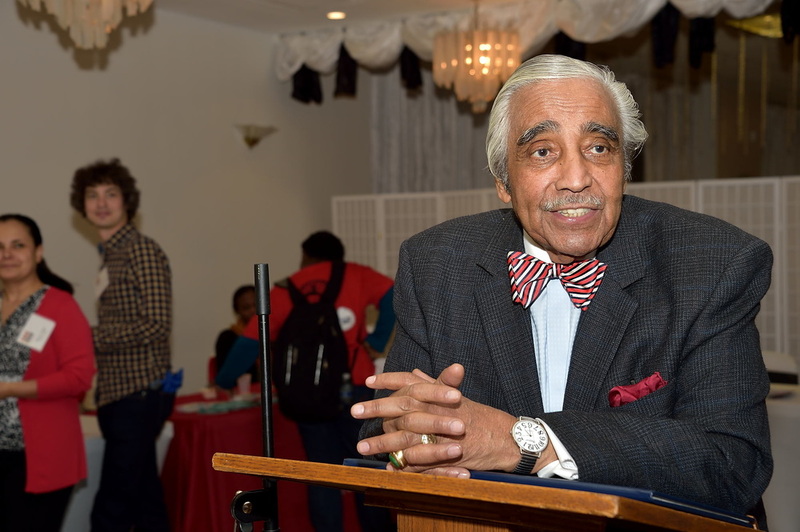 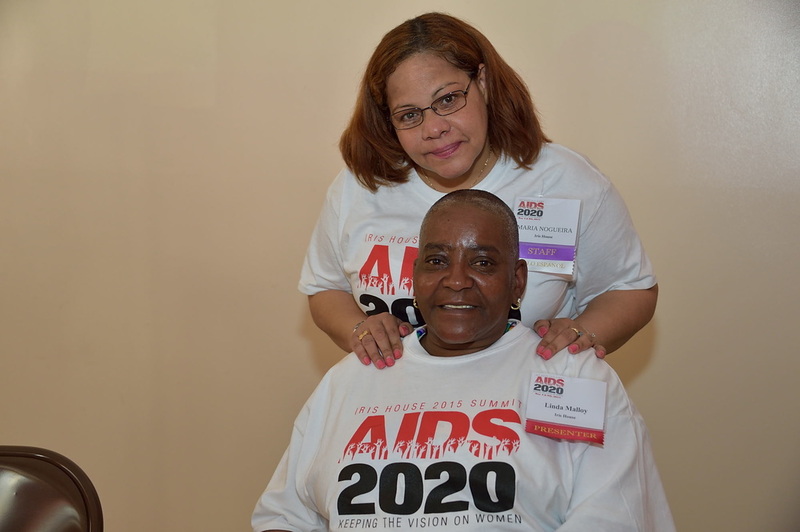 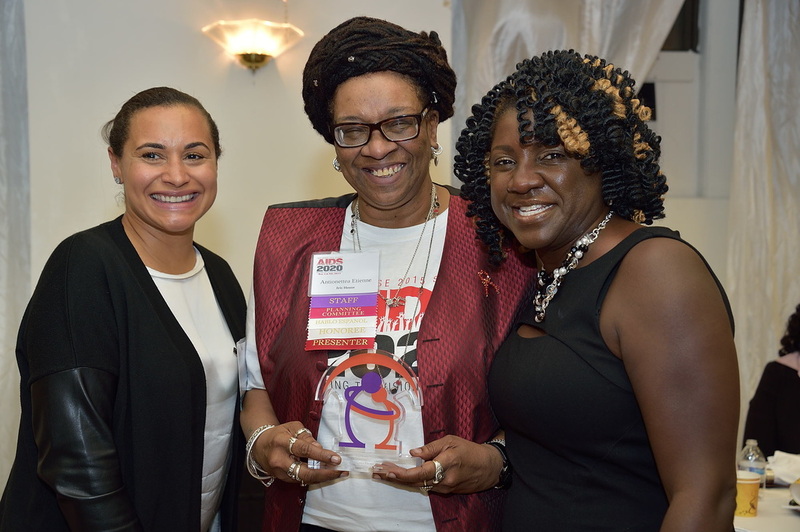 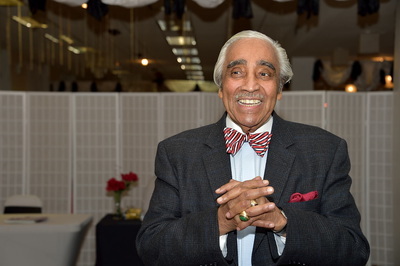 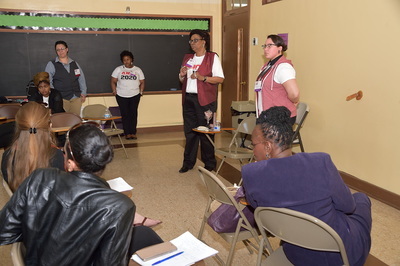 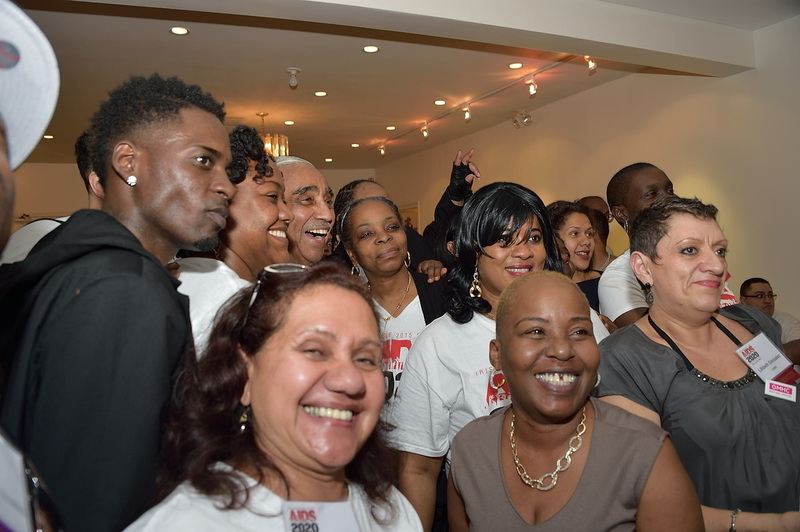 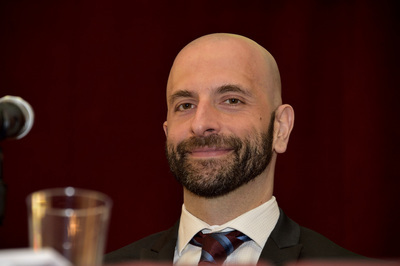 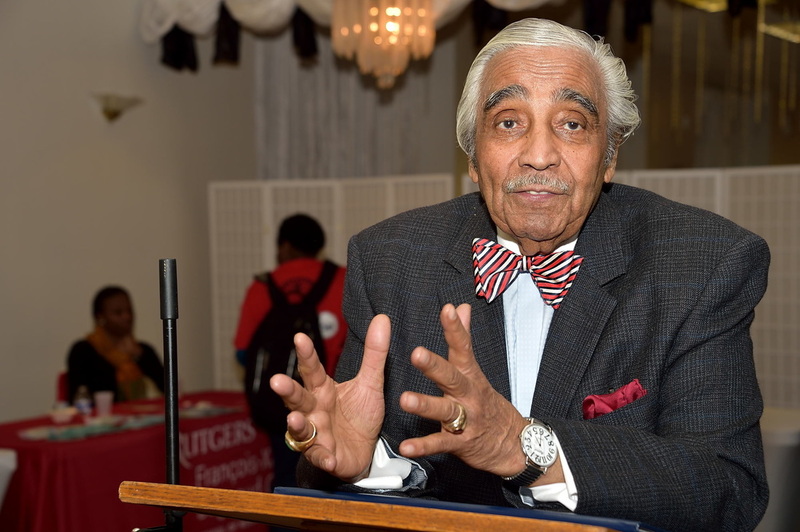 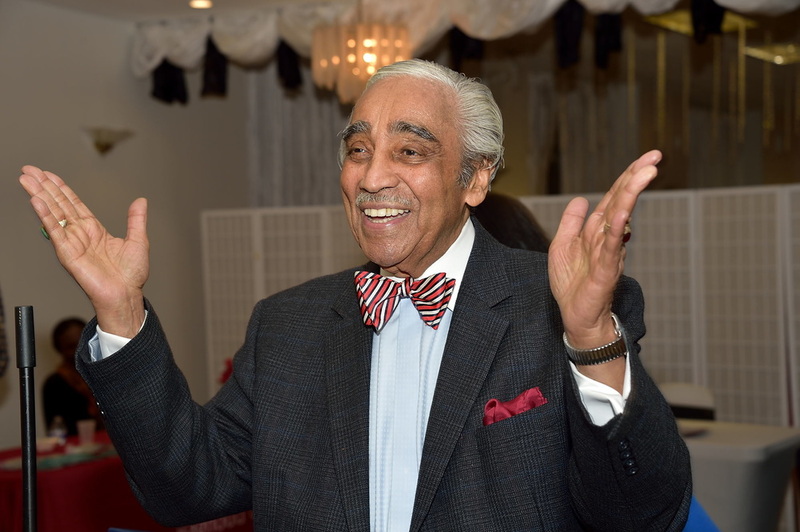 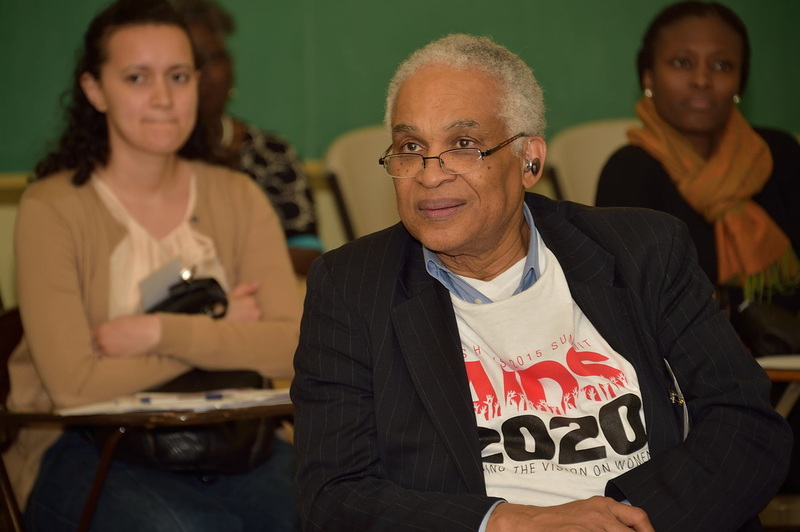 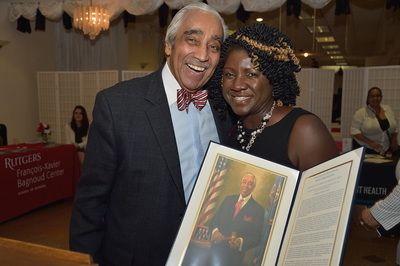 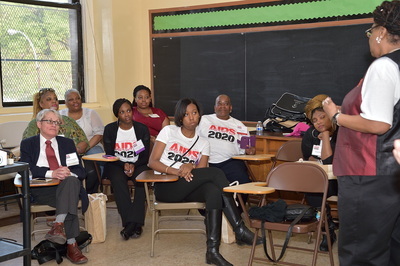 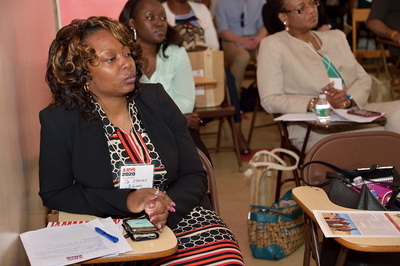 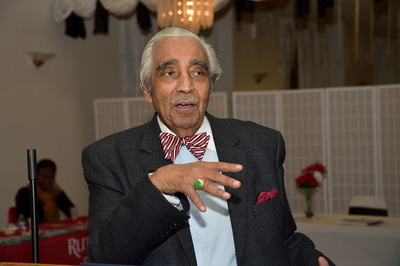 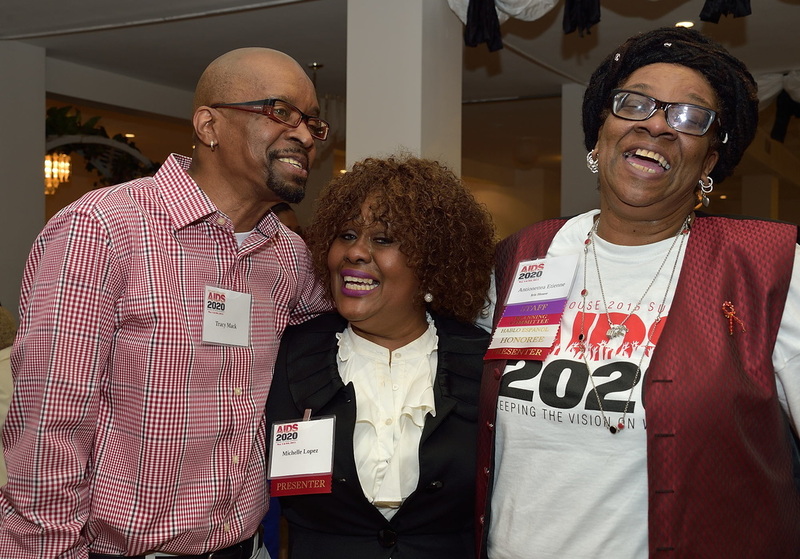 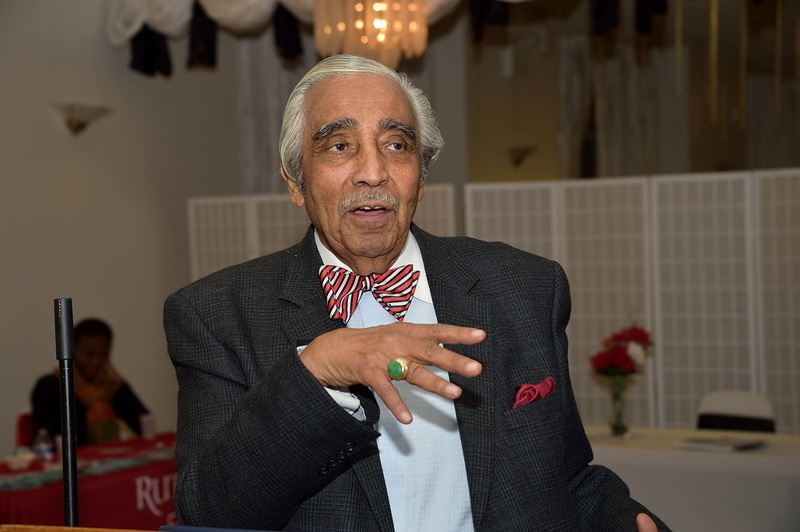 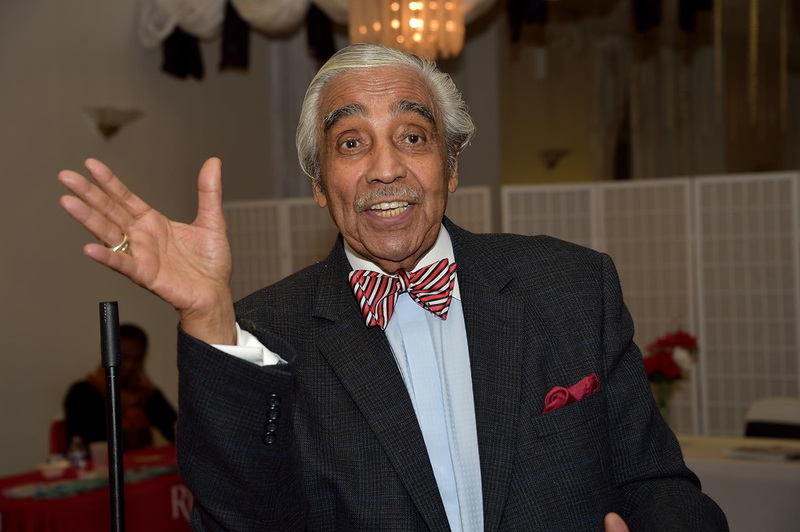 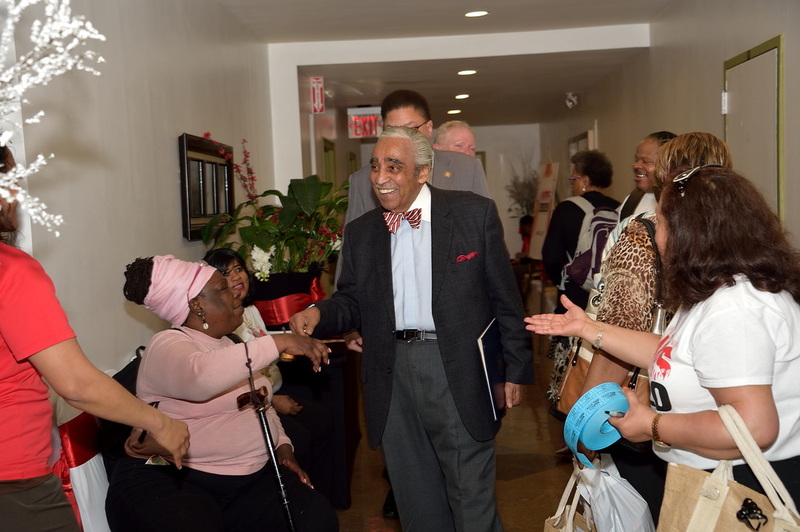 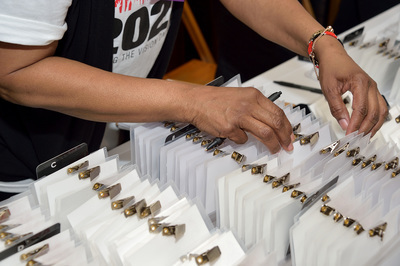 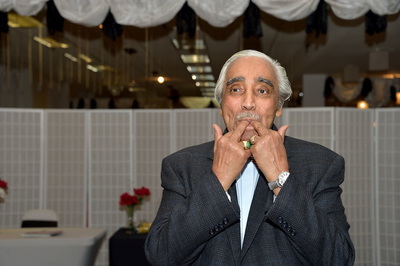 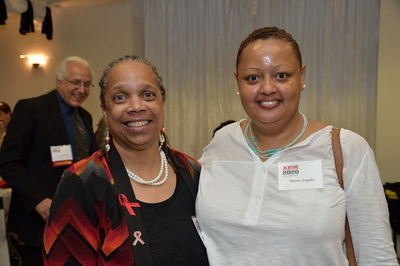 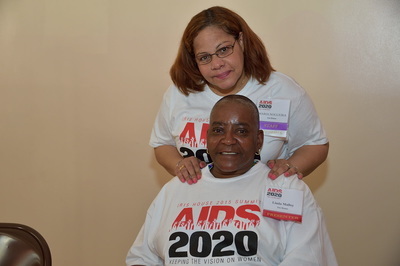 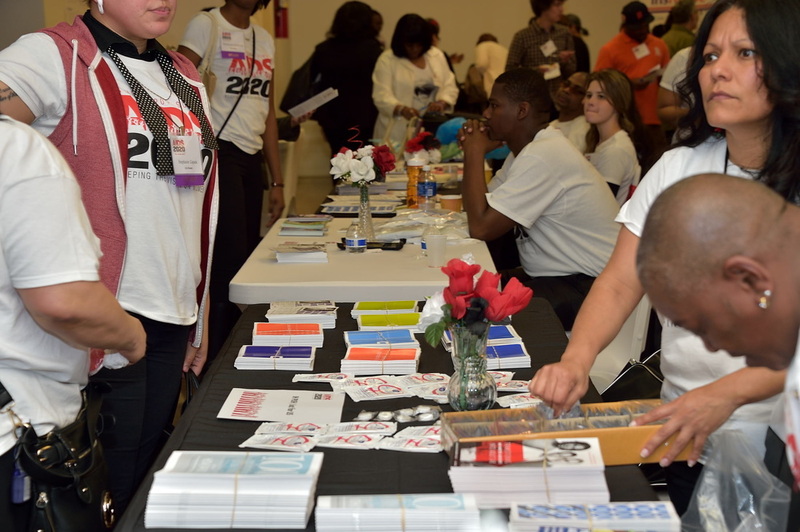 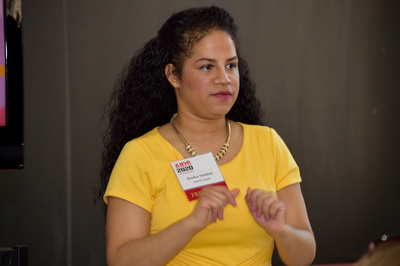 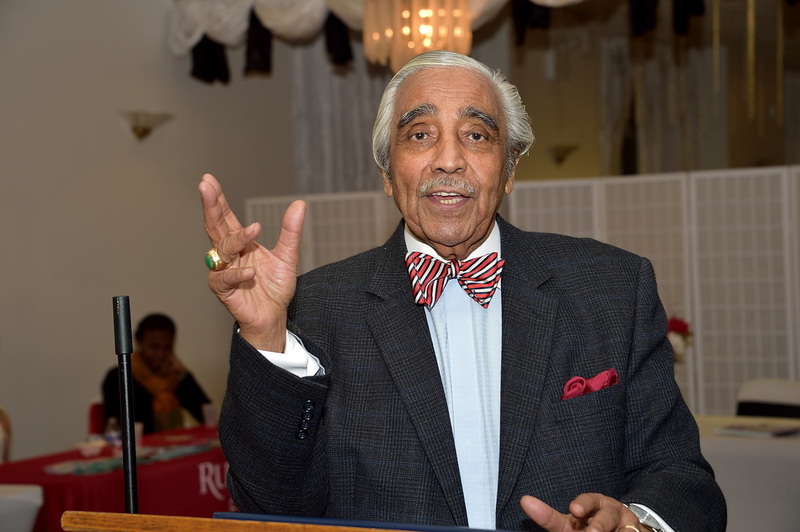 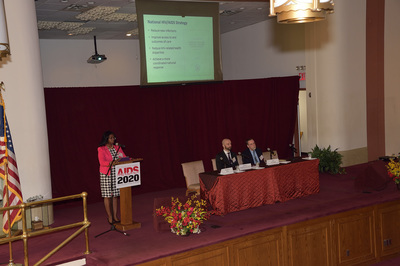 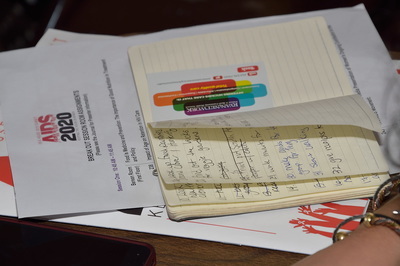 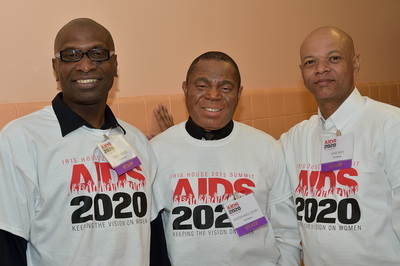 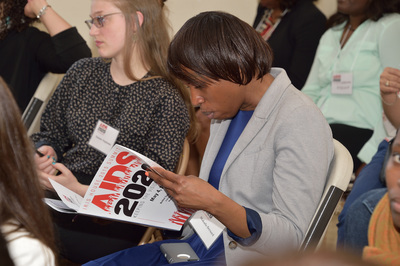 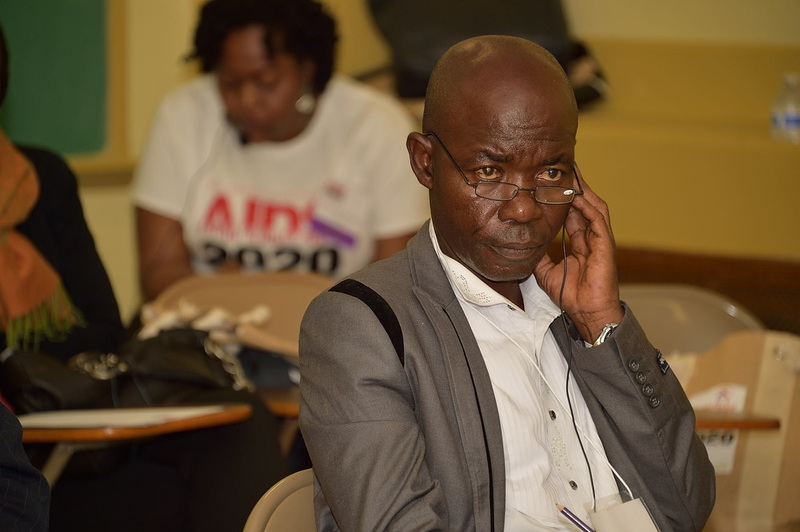 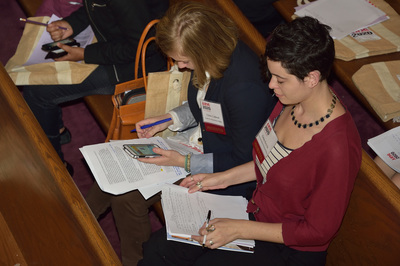 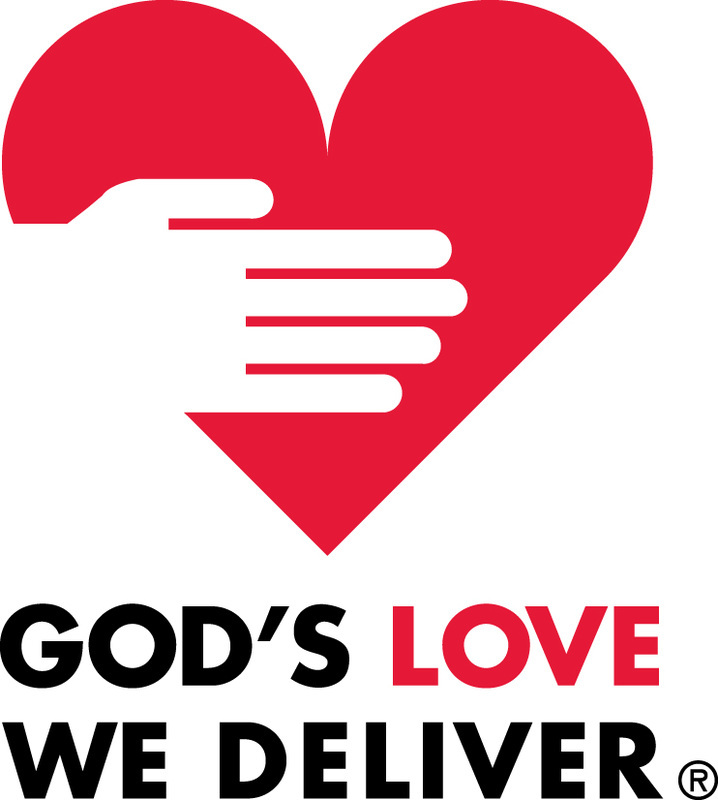 This year’s theme, “AIDS 2020: Keeping the Vision on Women,” amplified the goals of New York State’s Ending the Epidemic Task Force, established by Governor Andrew Cuomo to ensure that NY State remains a leader in the fight against AIDS. More than 400 people were in attendance throughout the day, which started with a plenary presentation by Gina Brown, M.D., from the National Institutes of Health, Office of AIDS Research, and a panel discussion, “Ending AIDS by 2020: The Government Response,” featuring Demetre C. Daskalakis, M.D., Assistant Commissioner for HIV/AIDS for the New York City Department of Health and Mental Hygiene, Michelle S. Davis, the Regional Health Administrator (Region II) for the United States Department of Health and Human Services, and Daniel A. O’Connell, the Director of New York State Department of Health’s AIDS Institute. Dr. Brown stressed the cross section of HIV and other life challenges, “Women living with recent intimate partner violence have four times the rate of Anti-Retroviral Therapy failure.” Dr. Daskalakis discussed the importance of PrEP as a part of the HIV prevention tool box and promised the gathering, “I will see a woman saying ‘I am on PrEP’ in the subway ads!” Mr. O’Connell noted that this summer, the New York State Department of Health would present its first ever Transperson Symposium. 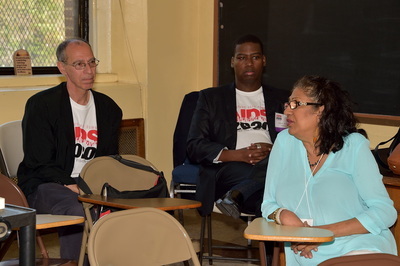 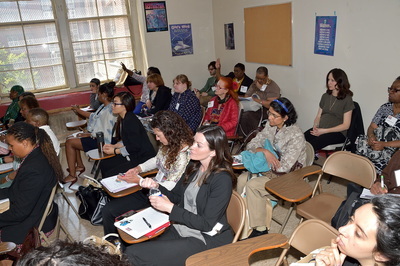 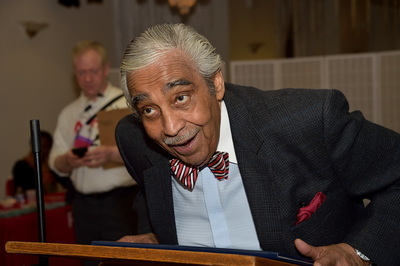 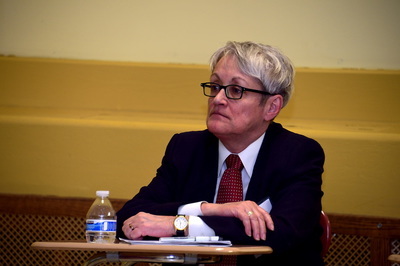 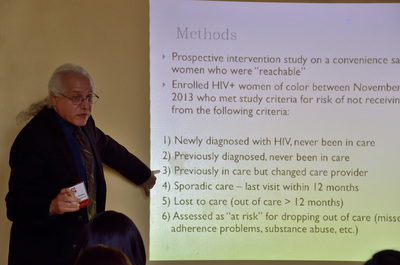 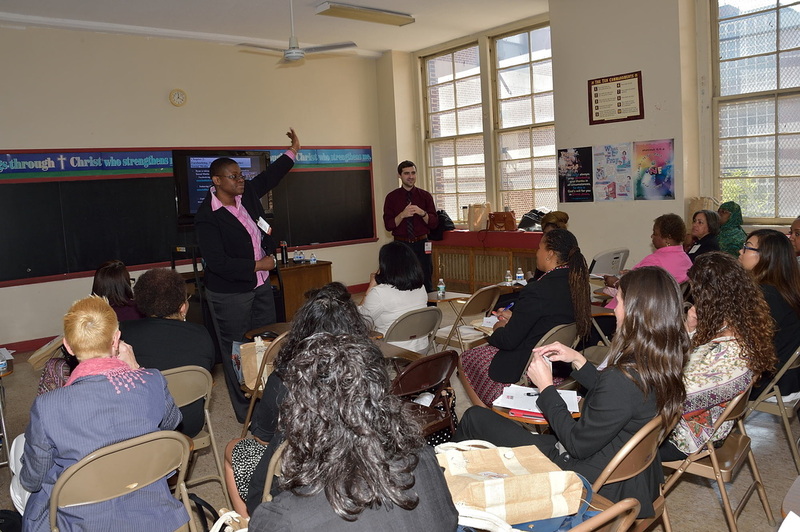 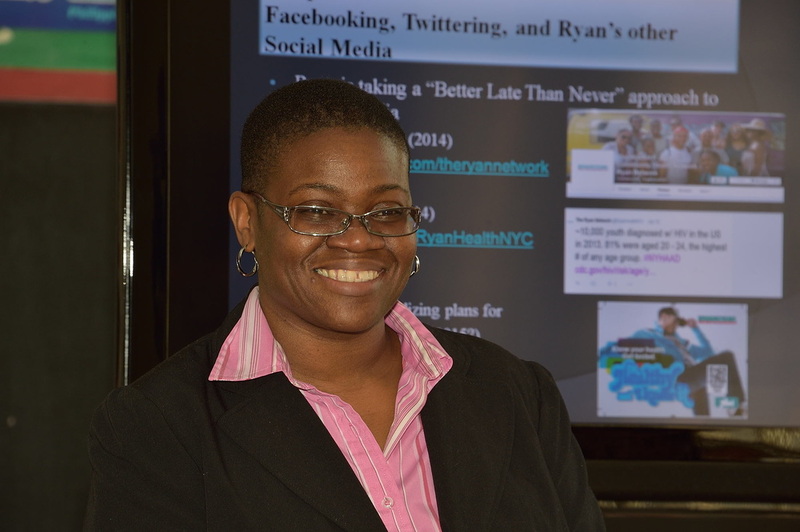 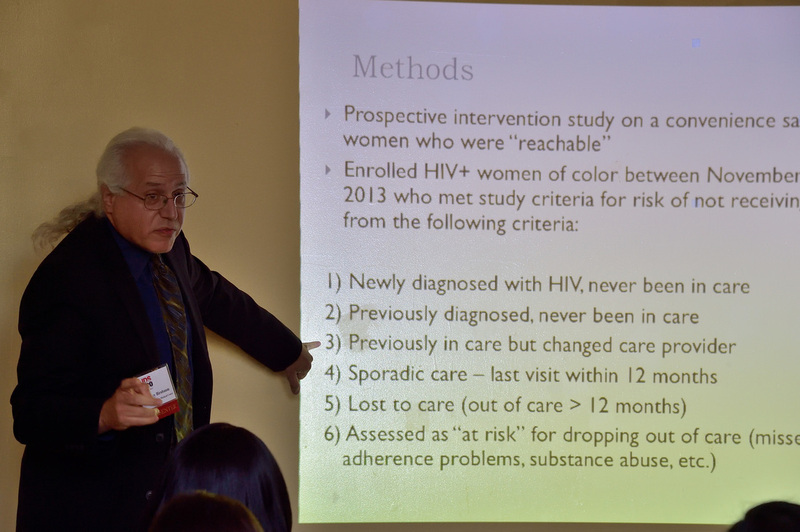 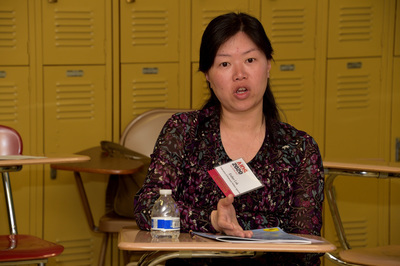 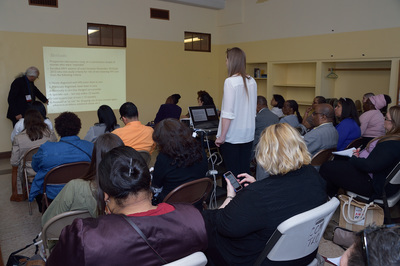 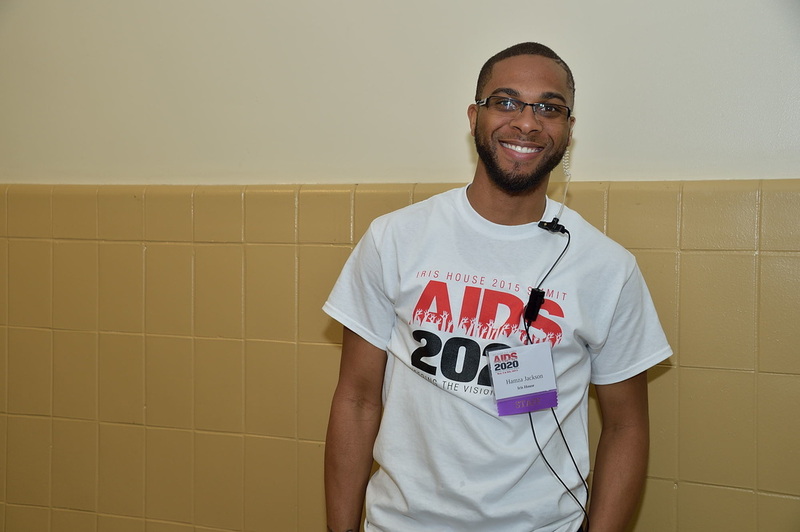 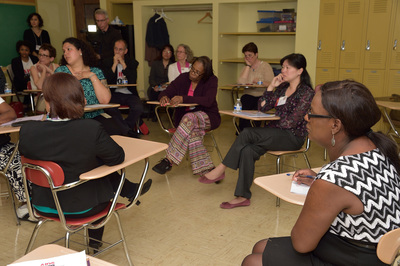 More than two dozen other presentations were made throughout the day covering a broad range of topics: from practical information about how Food is Medicine and Prevention (presented by God’s Love We Deliver) and Aging with HIV (presented by various angles by Iris House and GMHC), to programs focused on non-profits and Technology (William F. Ryan Community Center) and stigma (University of South Florida), to more artistic programs on women’s ongoing contributions to the movement (Visual AIDS) and Condom Decoration (Mt. 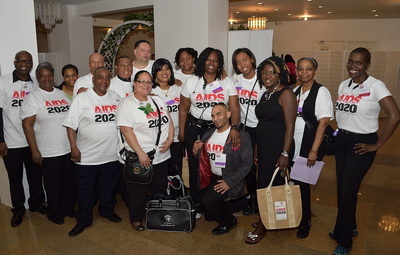 Sinai Institute for Advanced Medicine.) 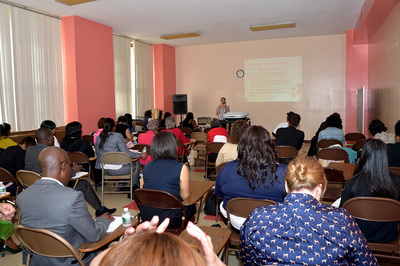 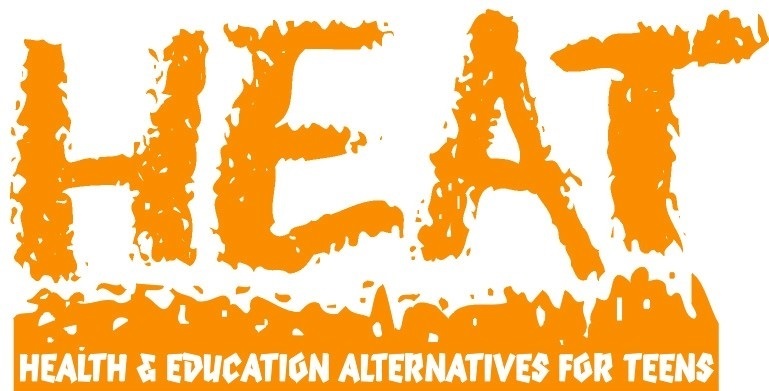 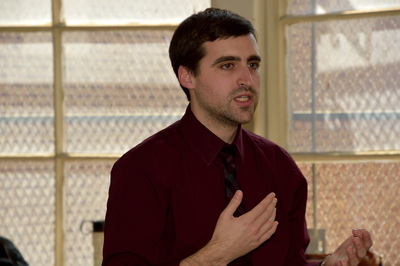 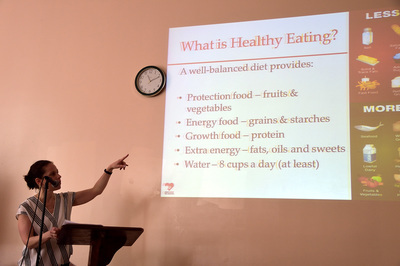 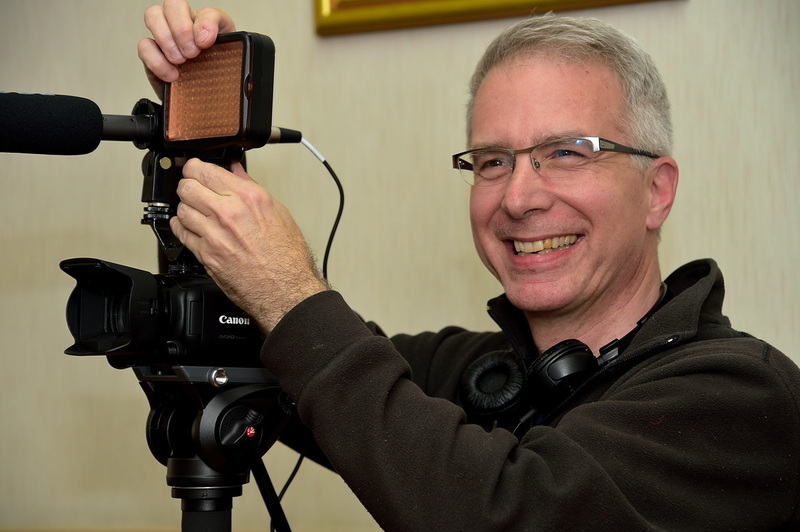 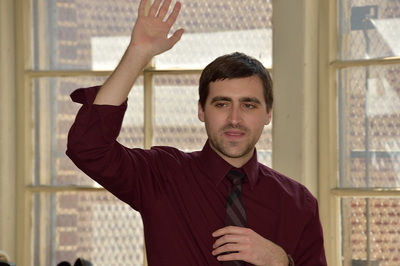 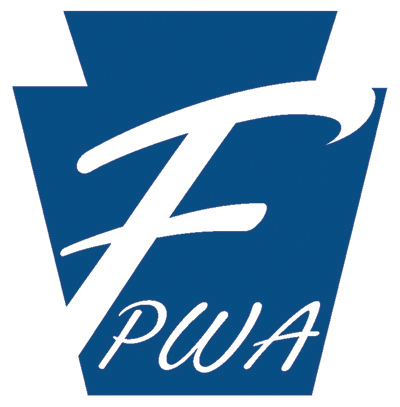 PDF versions of most of the presentations can be found here. 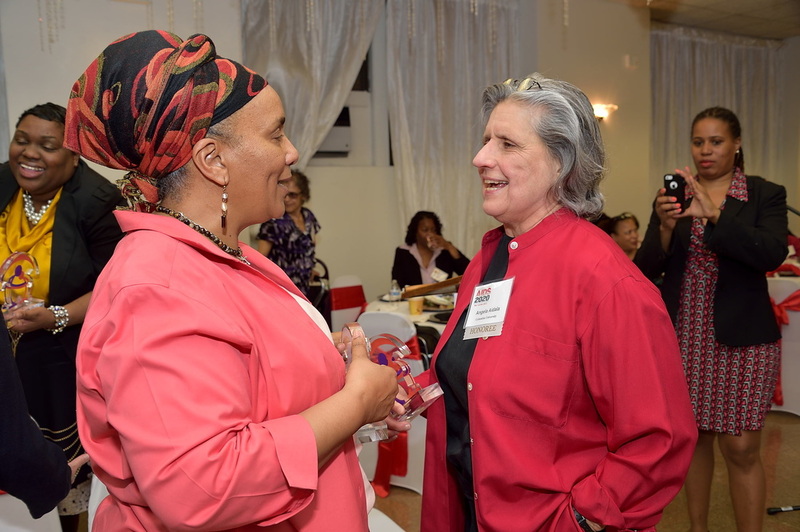 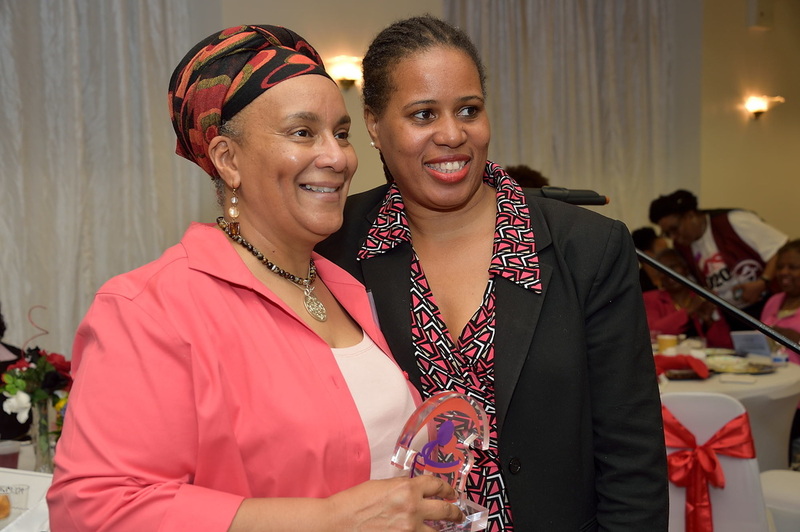 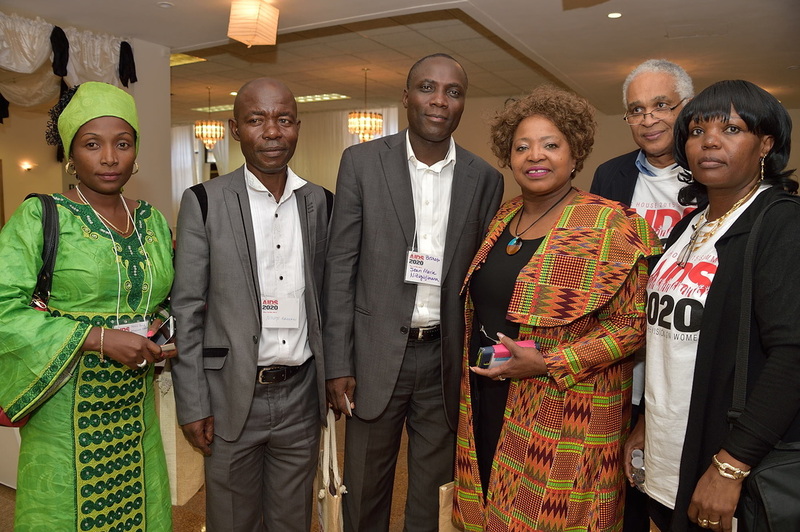 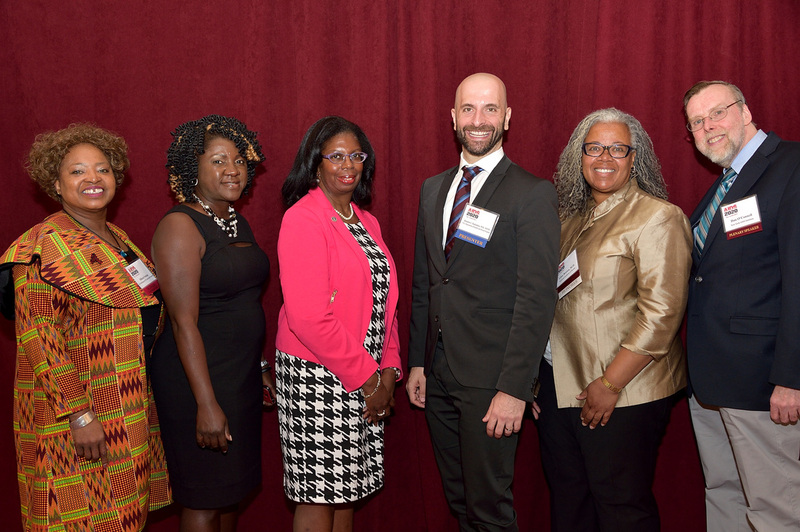 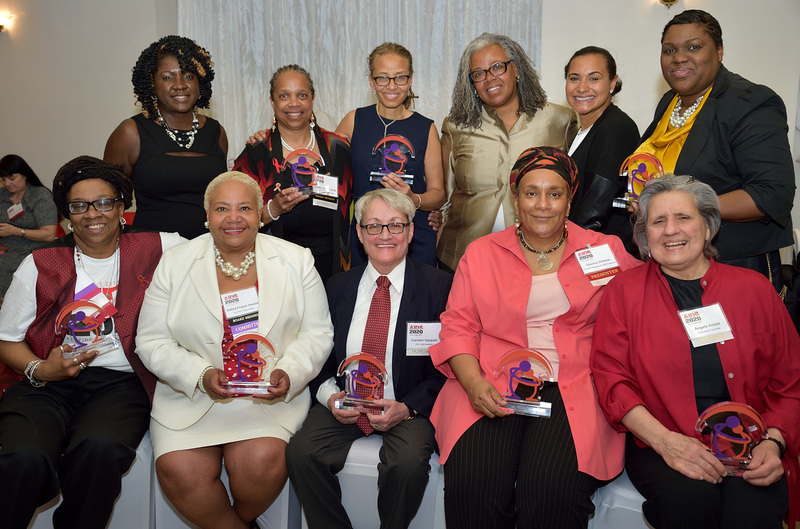 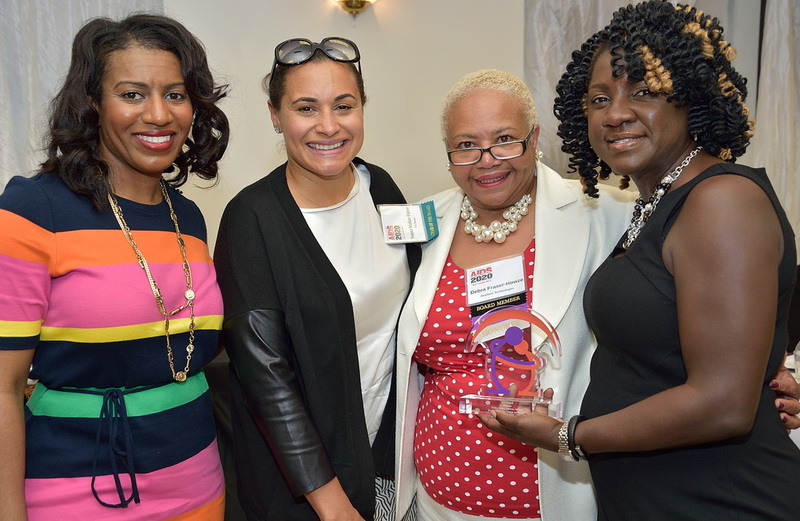 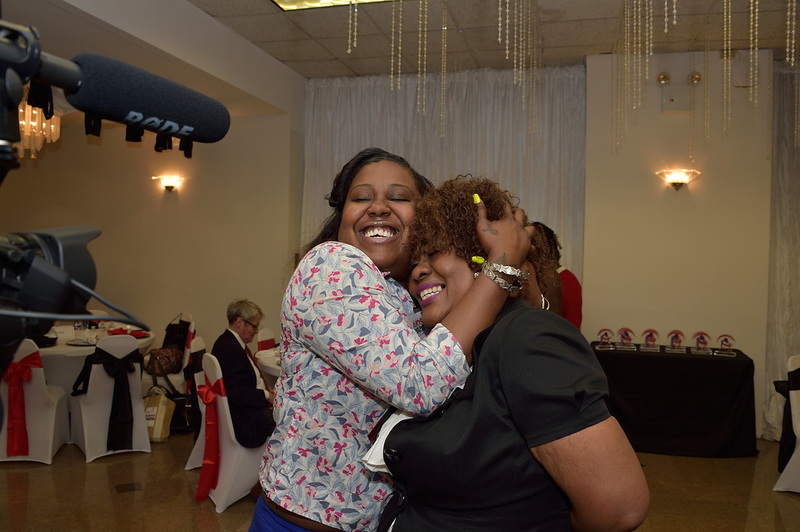 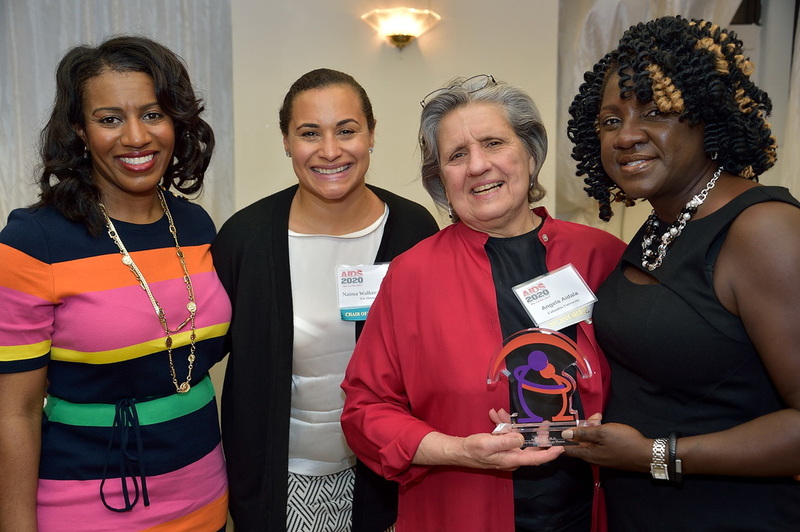 A special awards luncheon honored ten women whose work in the field of HIV/AIDS has been transformative, whether at the level of government policy or in one-on-one work with women living with HIV. 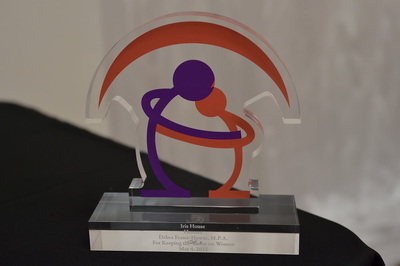 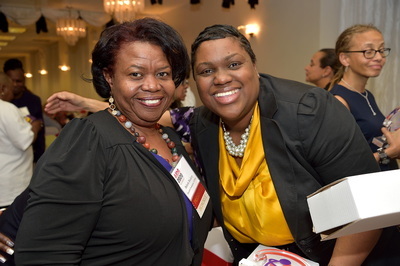 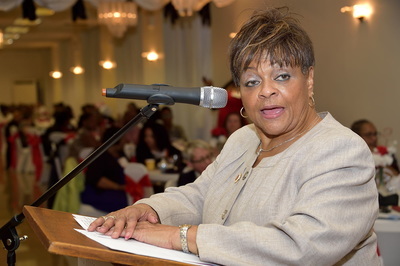 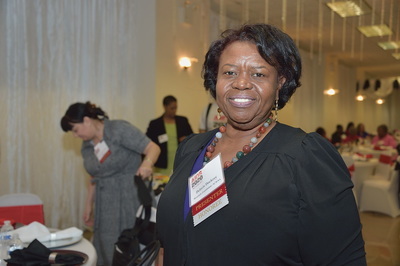 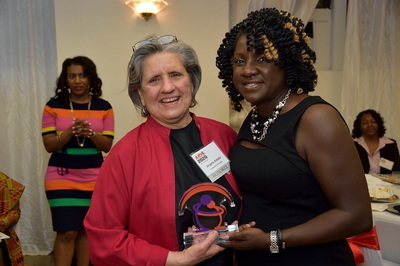 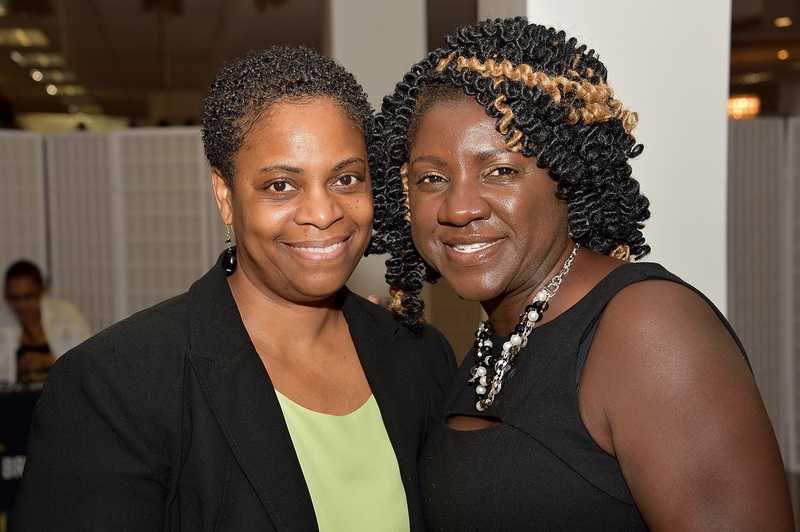 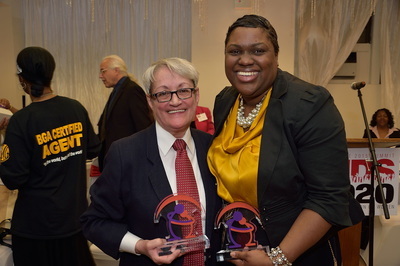 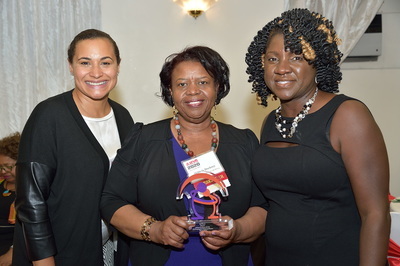 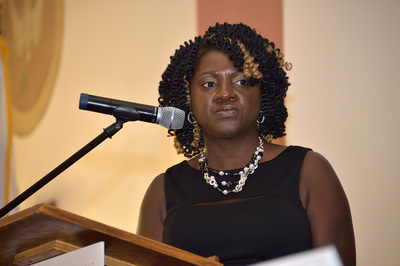 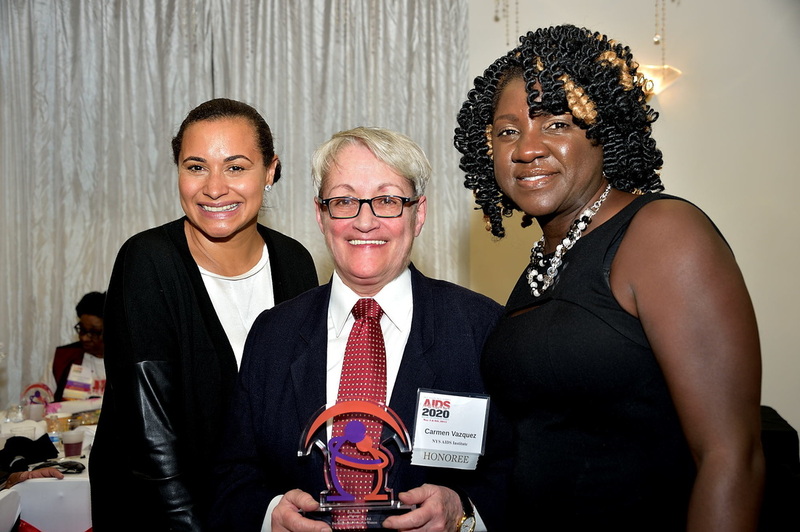 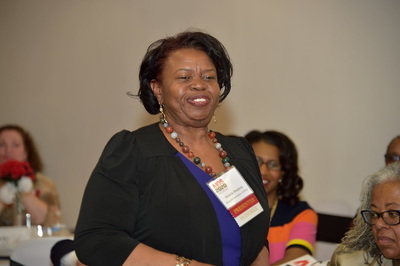 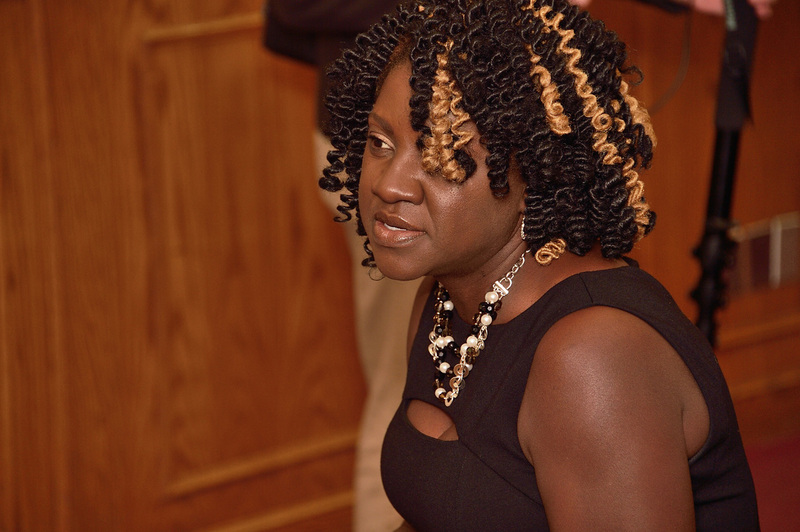 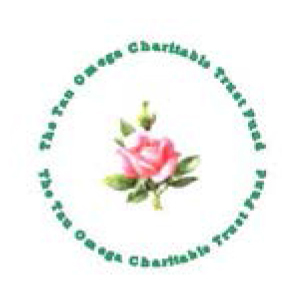 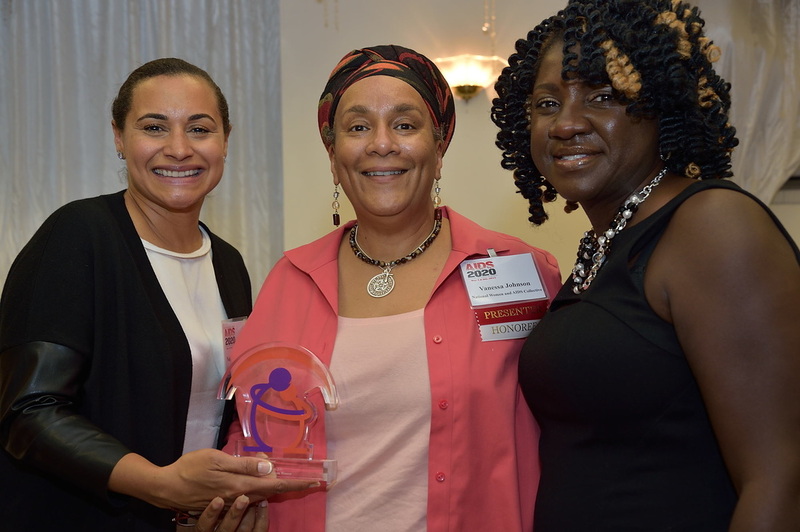 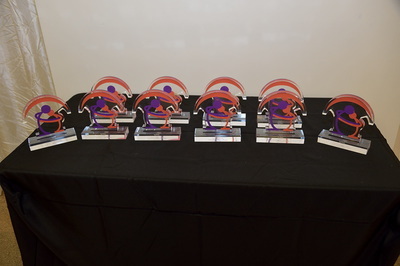 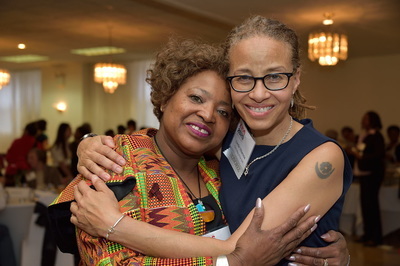 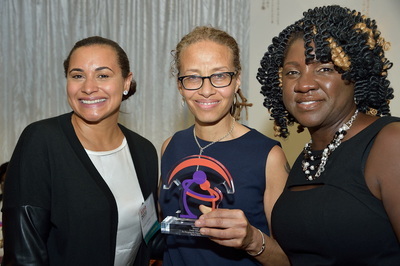 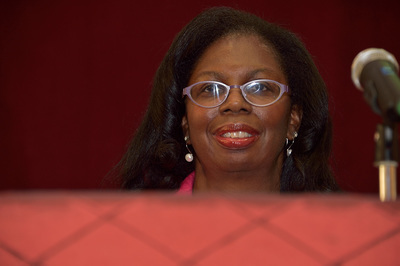 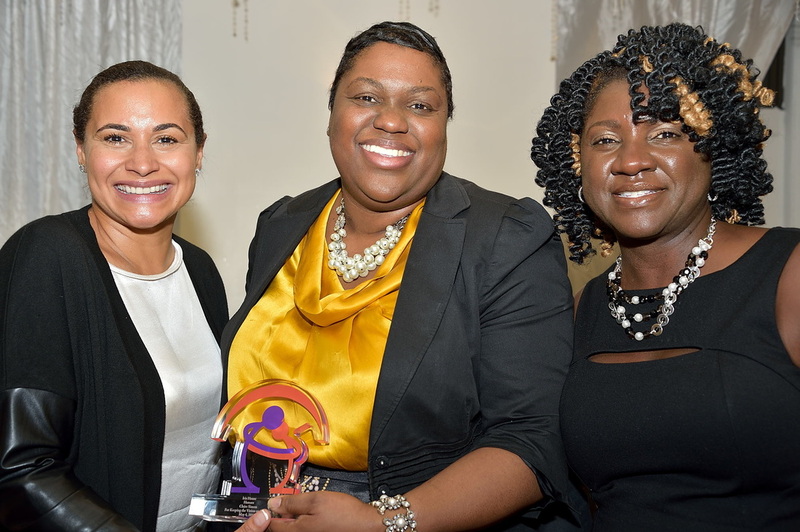 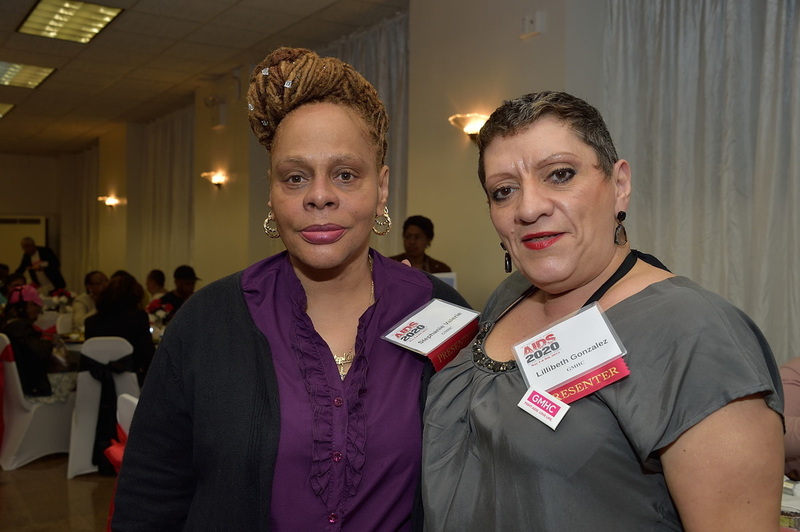 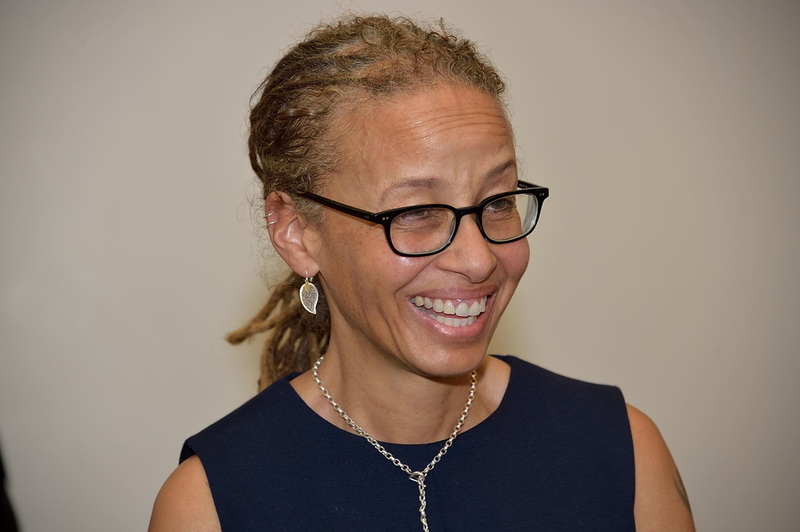 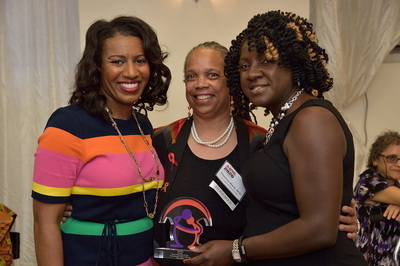 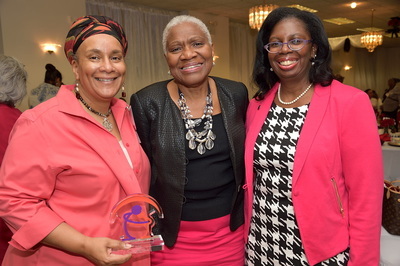 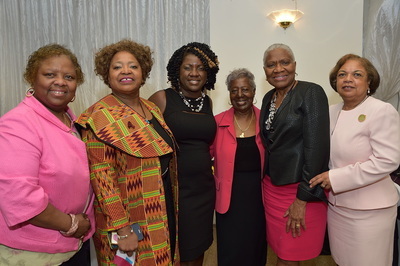 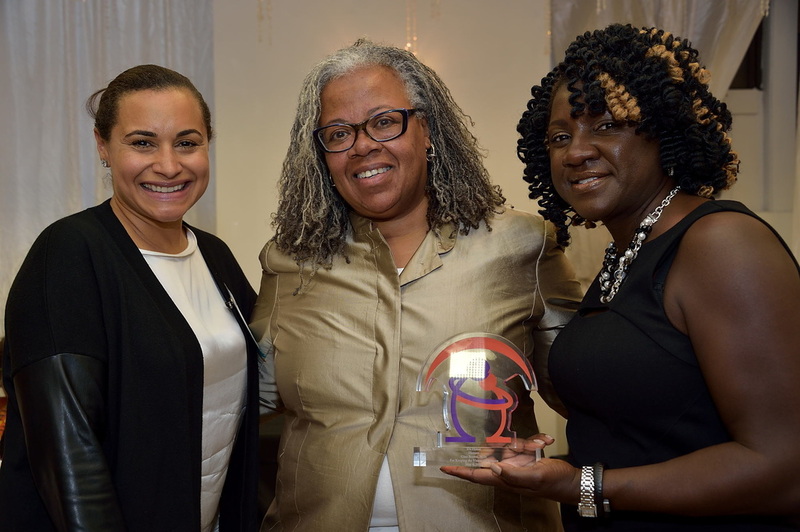 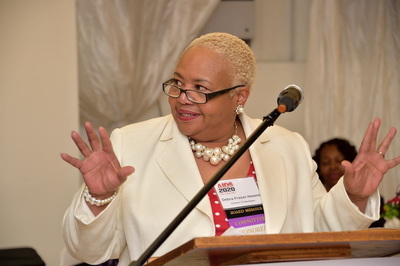 Honorees Theresa Mack, M.D., St St. Luke’s Medical Group and Debra Fraser-Howze, OraSure Technologies spoke on behalf of the honorees (click here for a complete list and biographies). The honorees were joined by New York City Councilmember Inez E. Dickens, who has been a long-time champion of Iris House’s work, and particularly in her support of the Women as the Face of AIDS Summits, as well as Athena Moore, Director of Manhattan Borough President Gale A Brewer’s Northern Manhattan Office, who attended presentations throughout the day.